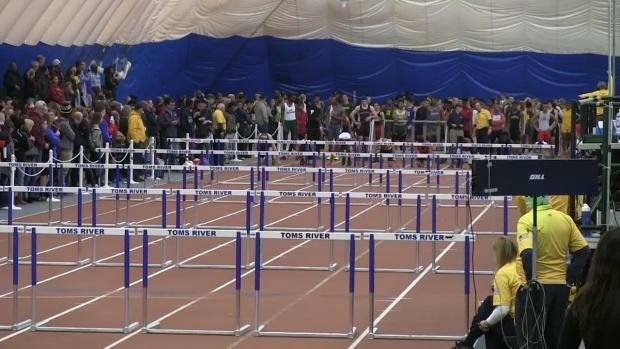 Live updates from Group Championships. 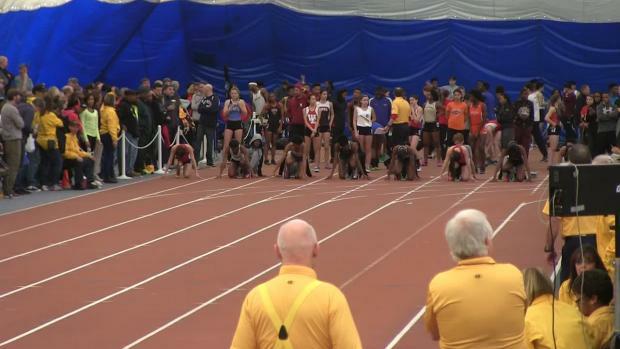 Here is everything you need to know for the Group Championships this weekend. 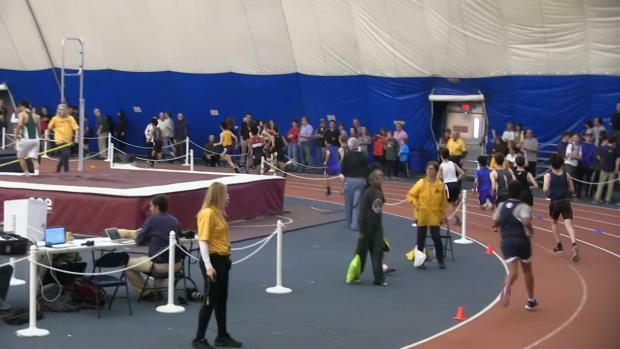 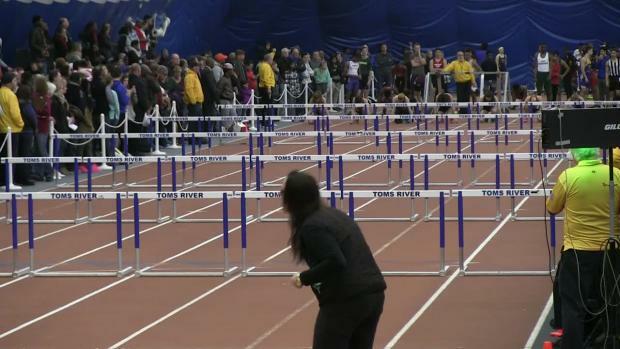 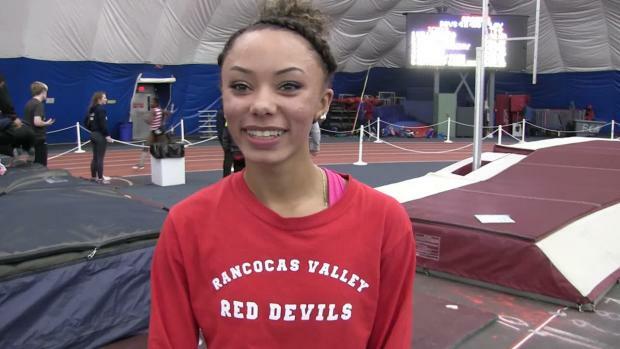 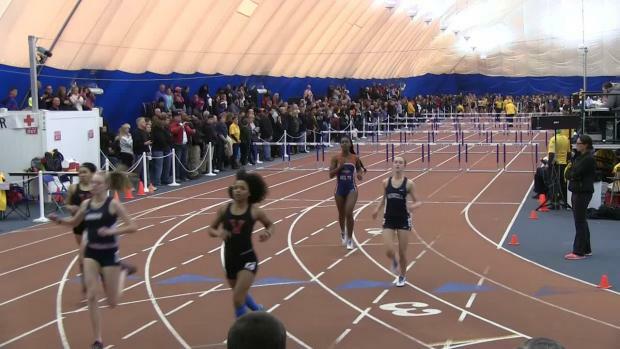 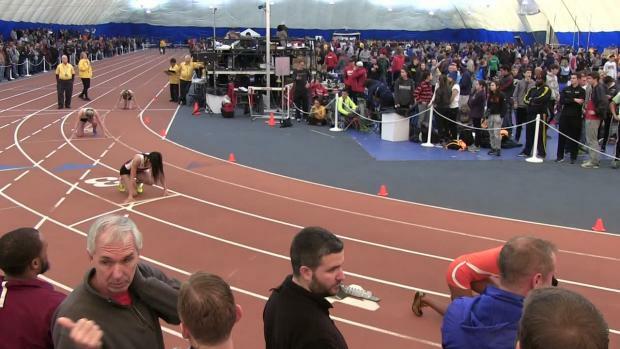 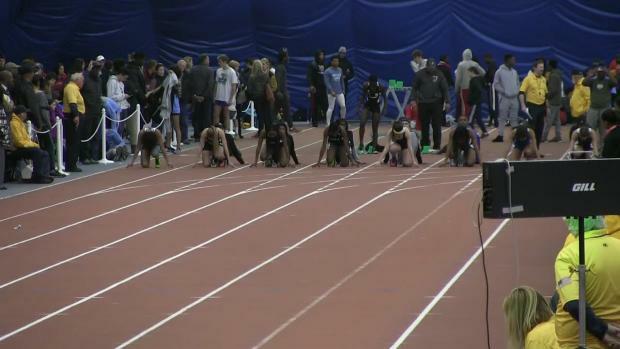 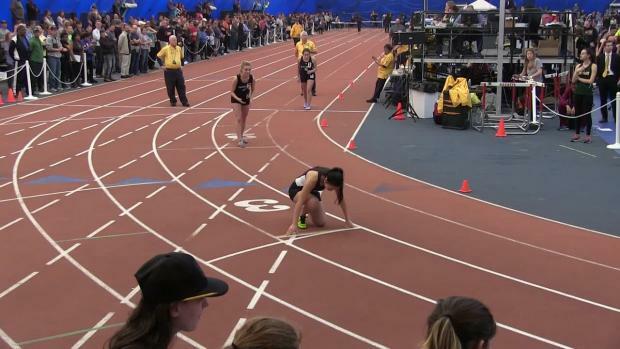 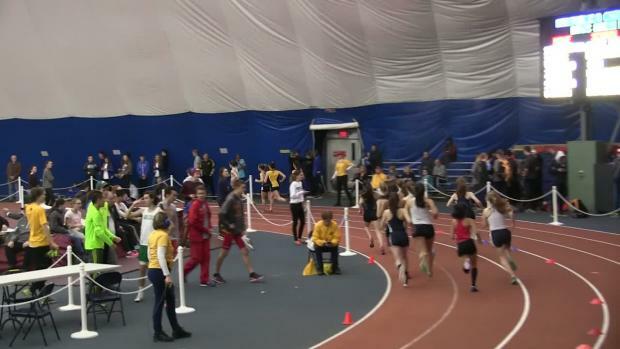 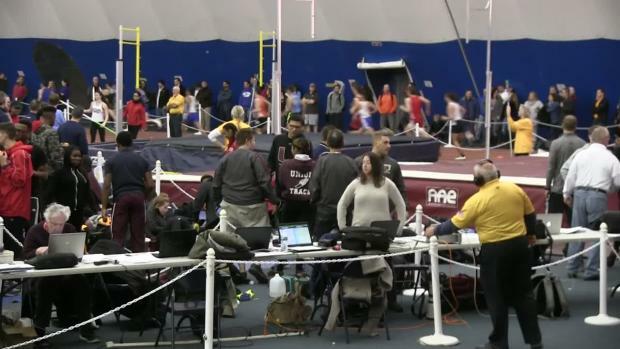 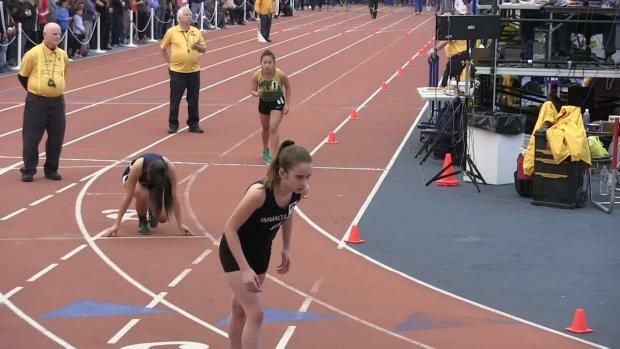 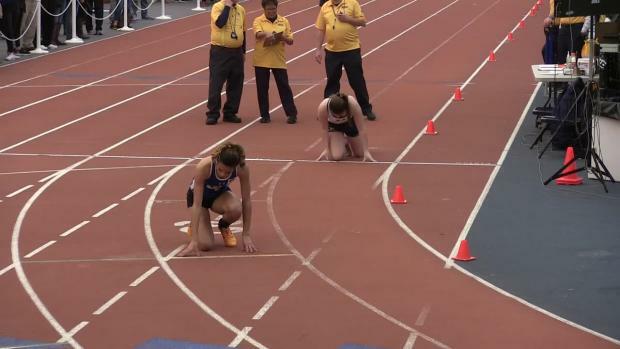 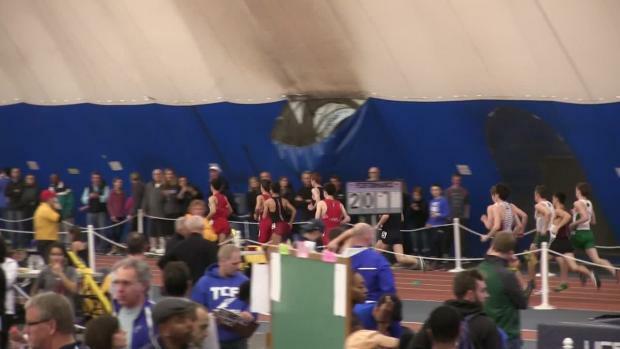 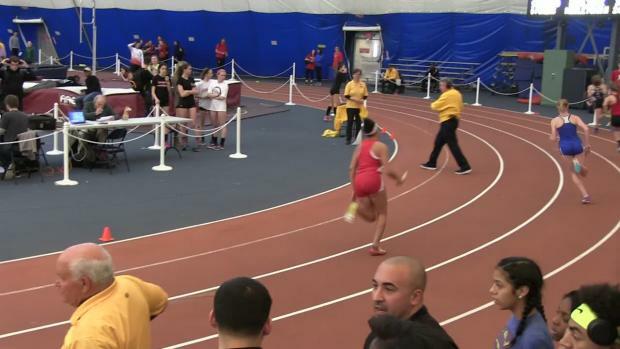 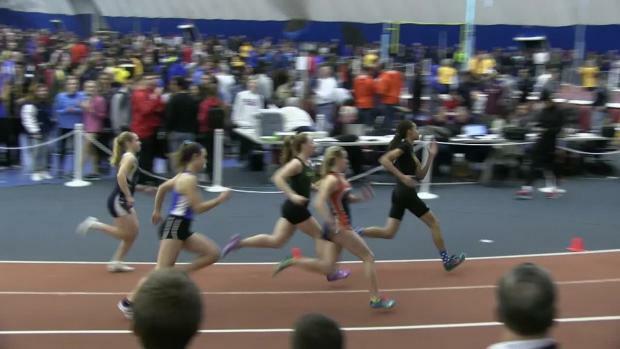 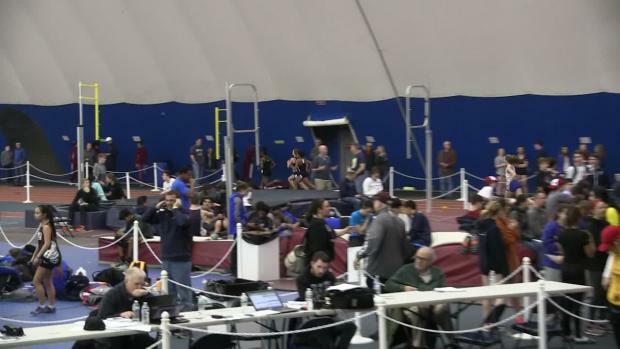 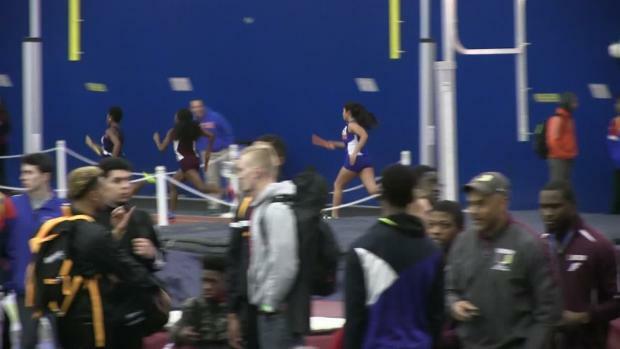 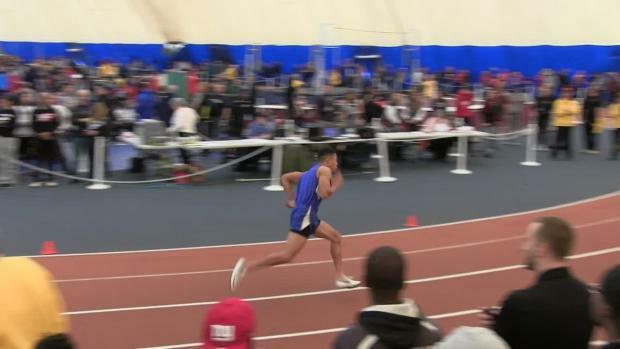 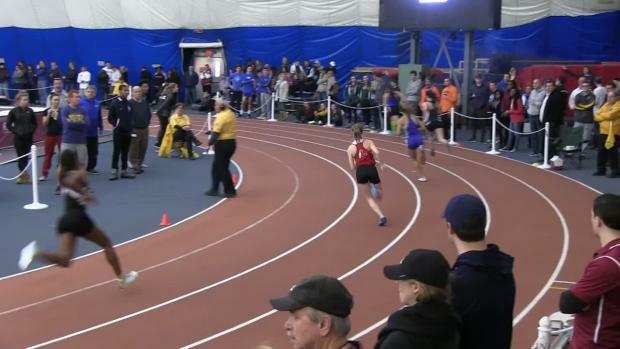 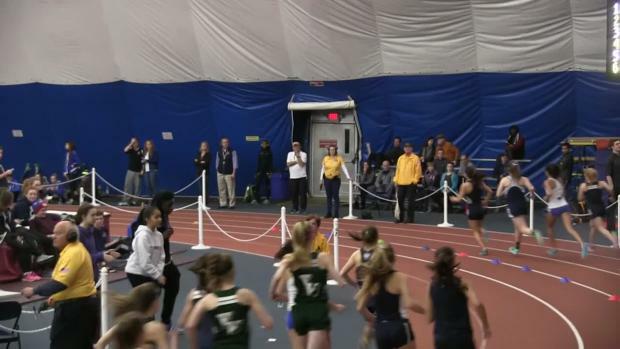 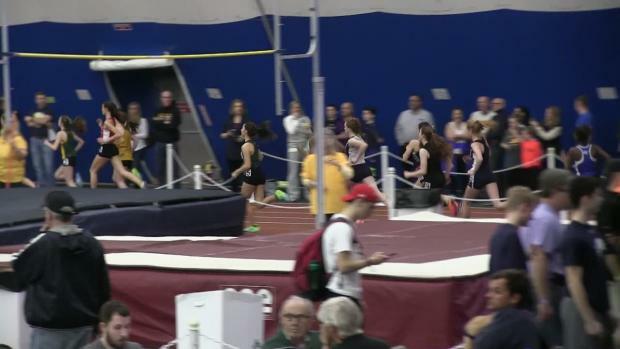 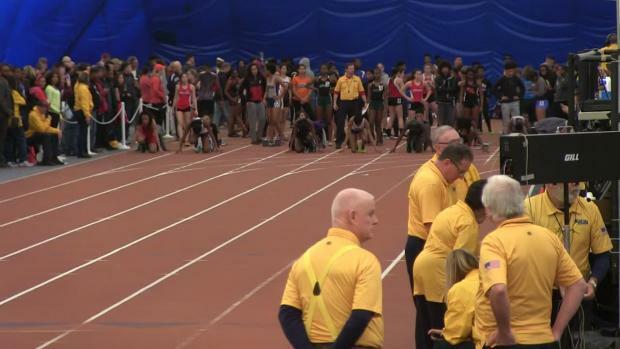 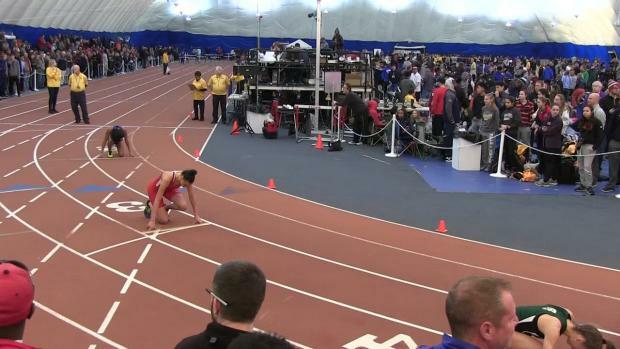 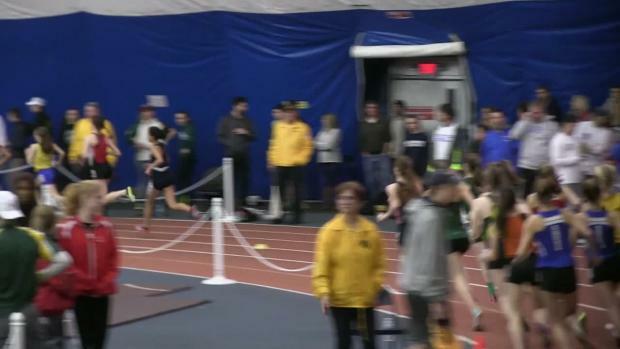 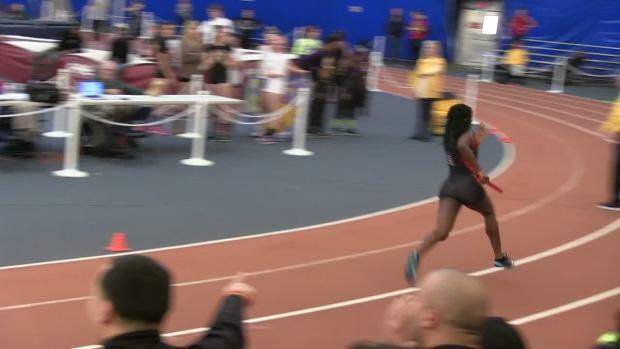 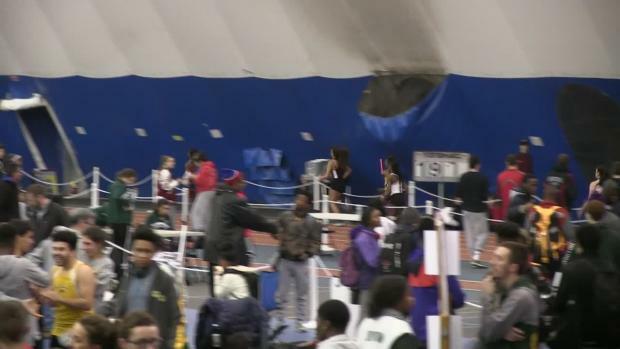 Sydney McLaughlin broke the 300 meter national record on Friday night running 36.82 in New York, and the very next day she came to compete in the 400 meter at the NJSIAA Group Non-Public A State Championships in New Jersey. 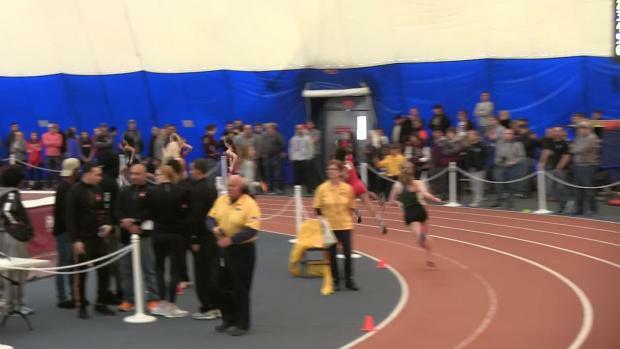 In an unusual set of circumstances however she did not have a 400 meter time from this season, an event which she also holds the national record in, requiring her to run from the unseeded heat. 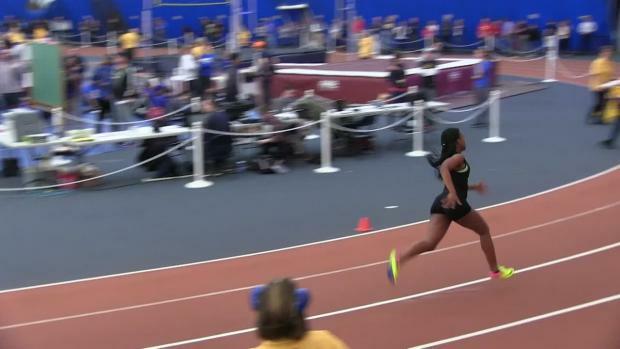 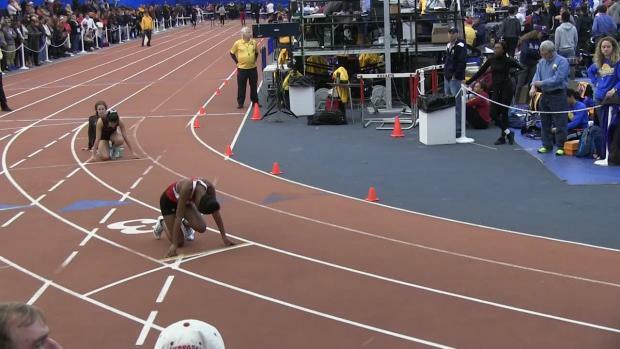 No matter for the high school Olympian as she posted a 54.27 US#3 during what was basically a time trial after she sprinted ahead of the heat around the track.She holds the all-time venue record of 53.34 for the 400 meter at the John Bennett Indoor Complex, which was performed last year at the Meet of Champions so keep an eye out for that next week. 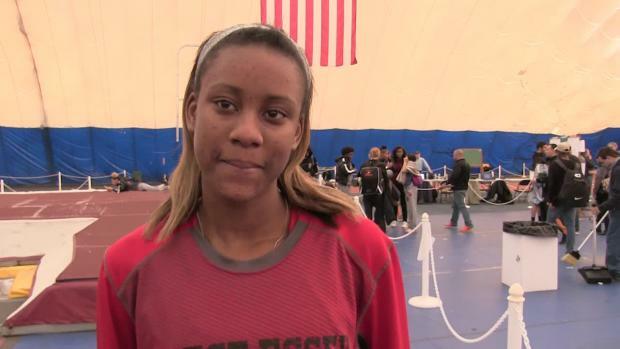 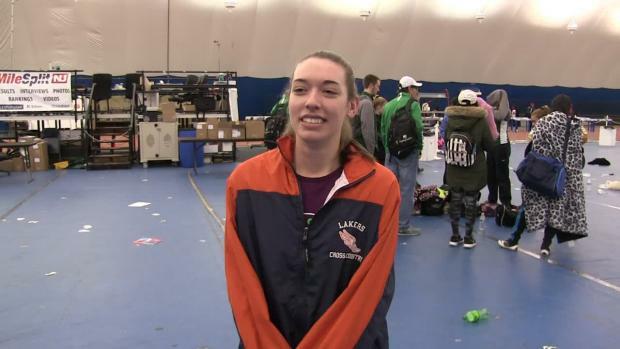 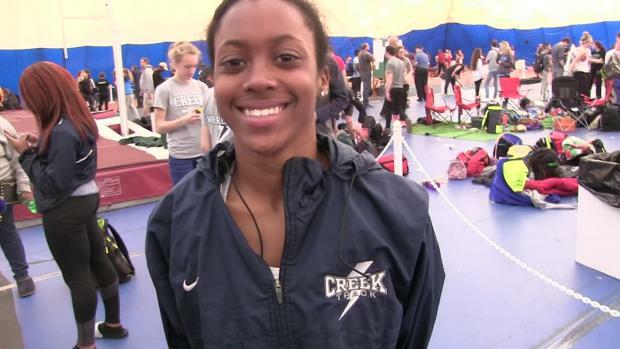 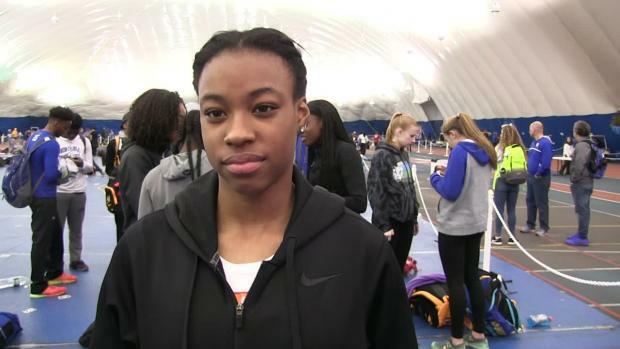 Her national indoor record of 51.84 was she set at New Balance Indoor Nationals in 2016. 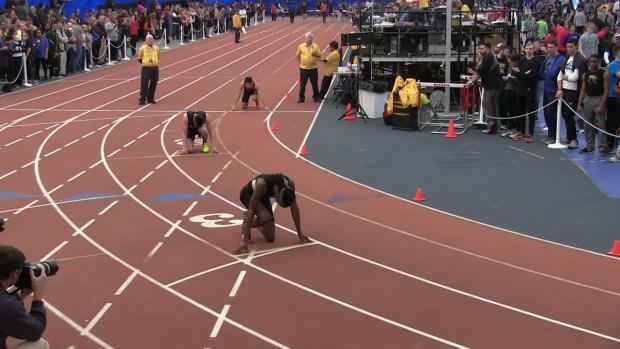 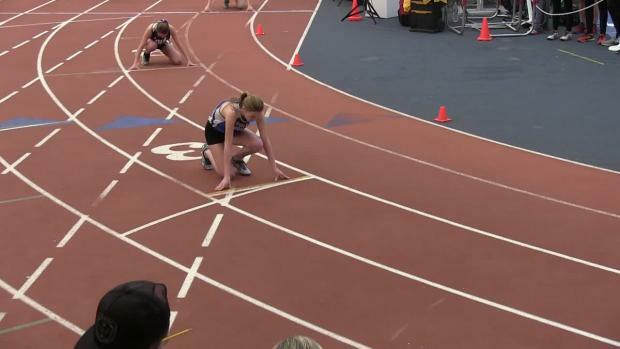 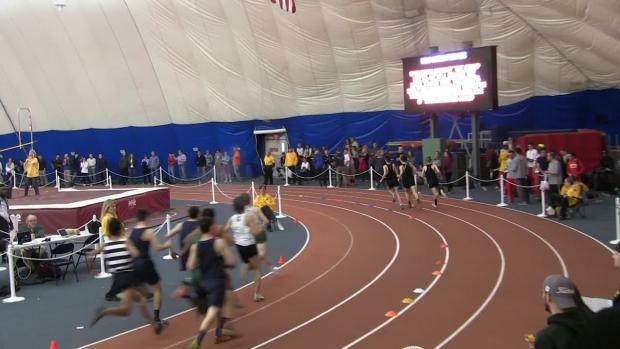 Watch all the Group Championship Race Videos Here! 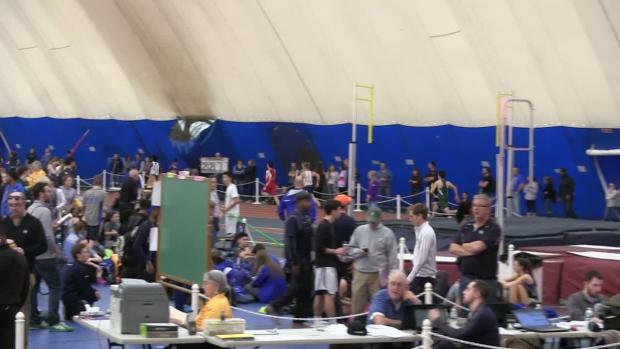 Congratulations to all the athletes who advanced to the Group 1 and 4 Championships on Friday February 17th at 4:00 pm. 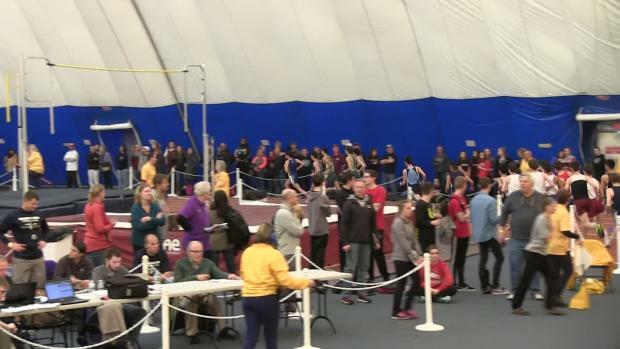 The top 50 all-time at the state meet hosting venue. 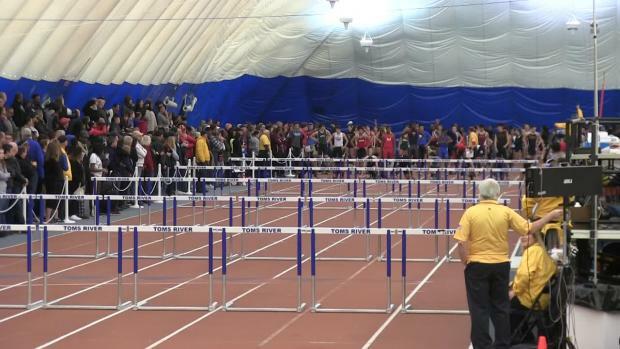 The first round of state meets have come and gone, to celebrate the winning schools we have made this hub featuring all the team champion photos as well as links to their individual performances. 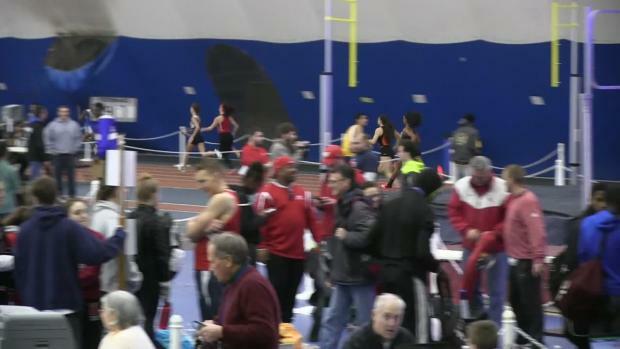 Results filtered down by team. 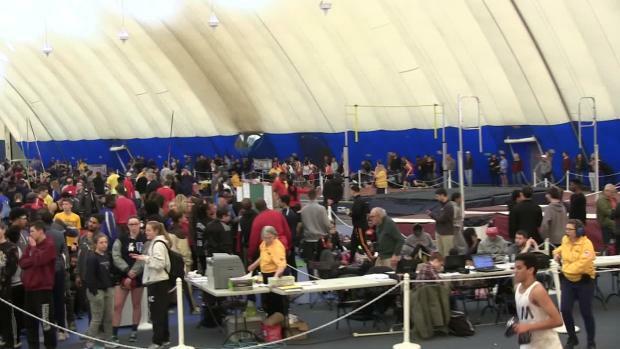 A great way to get in the zone for Group Championships this weekend. 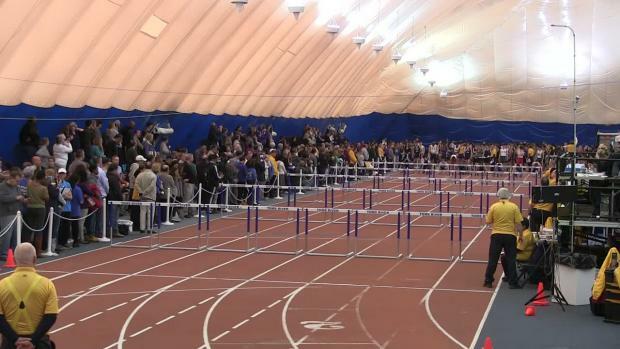 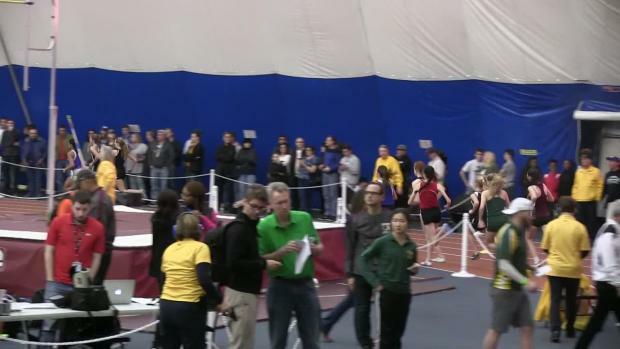 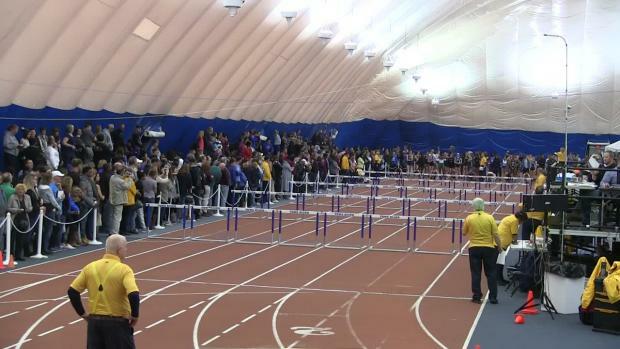 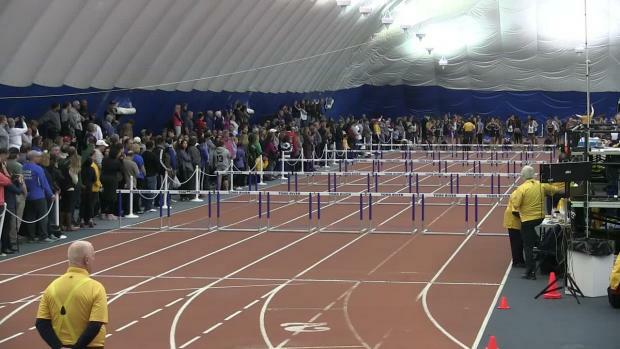 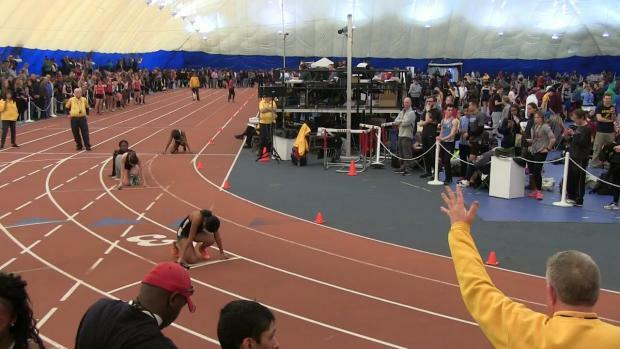 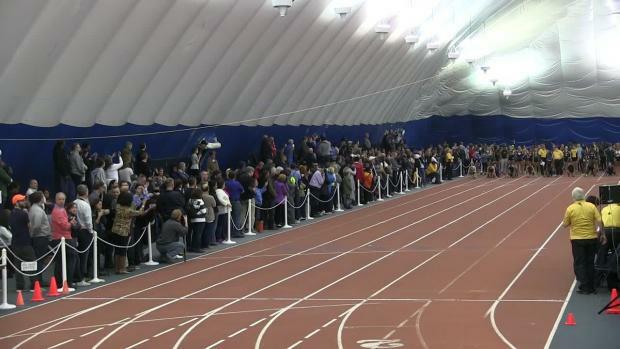 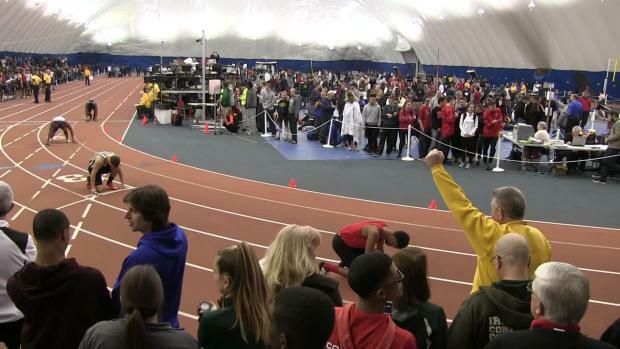 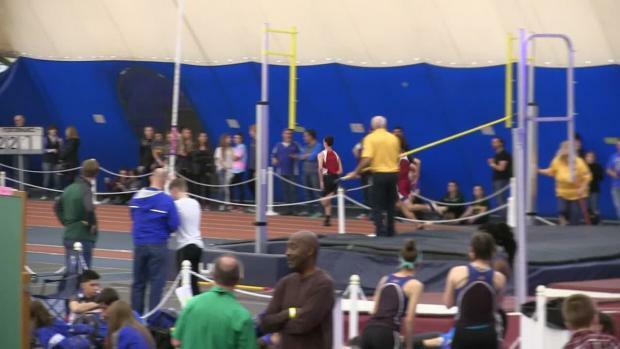 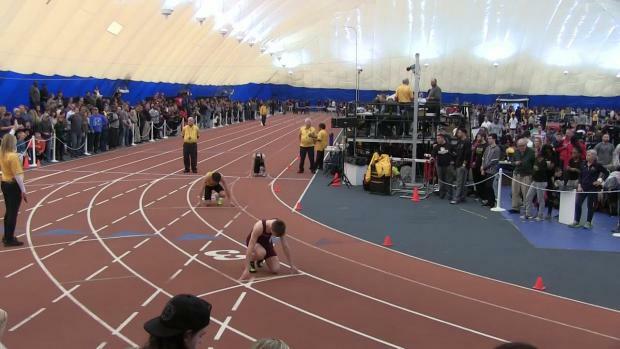 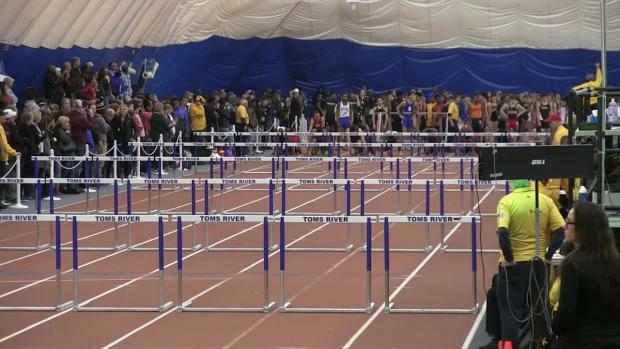 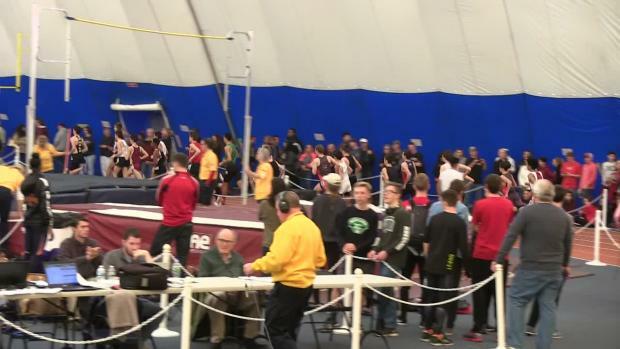 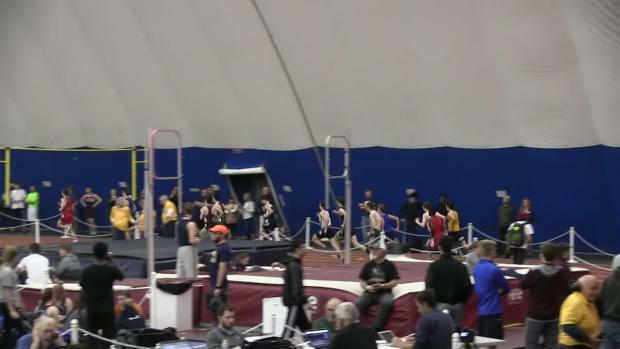 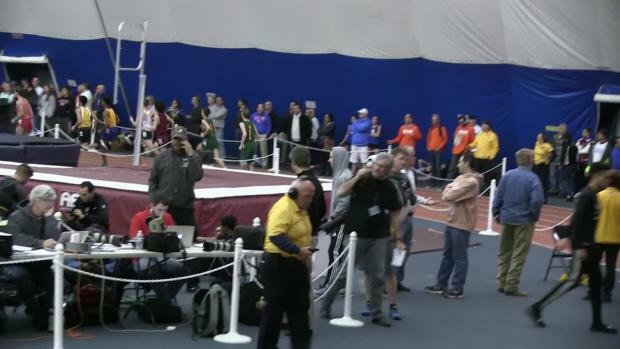 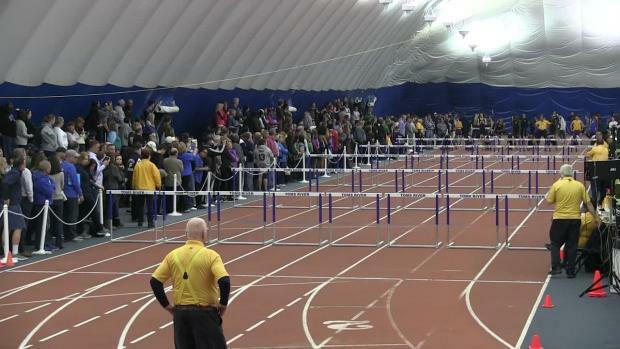 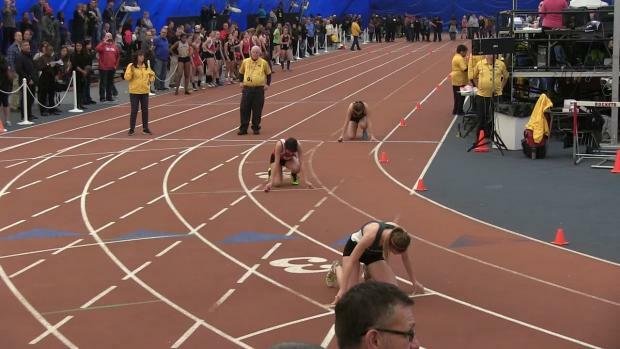 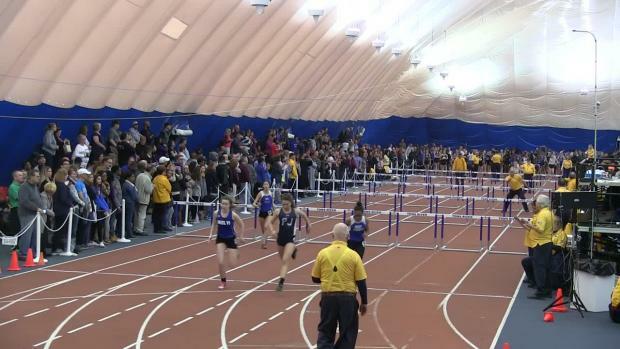 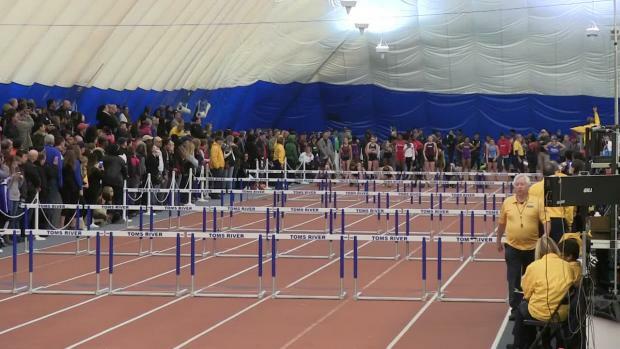 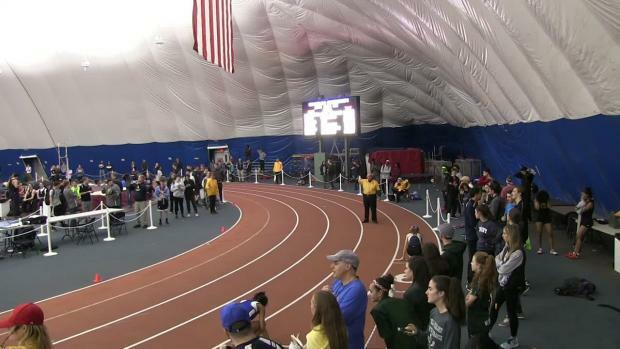 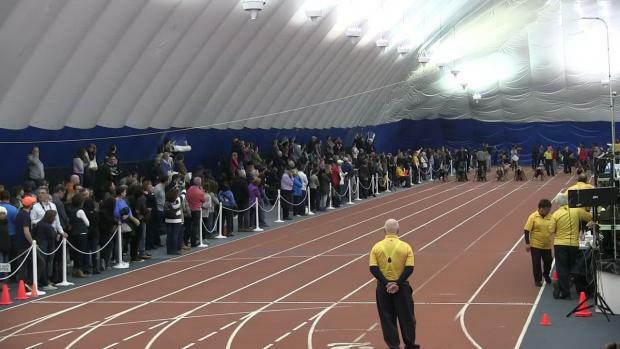 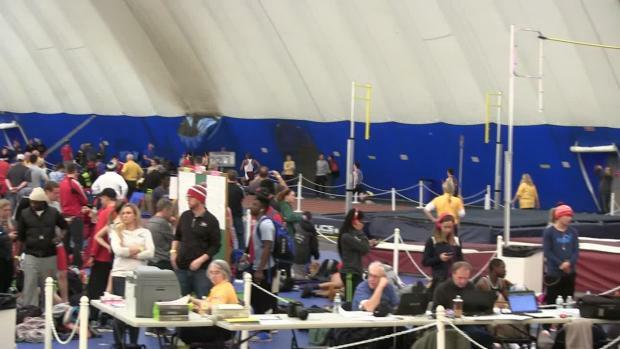 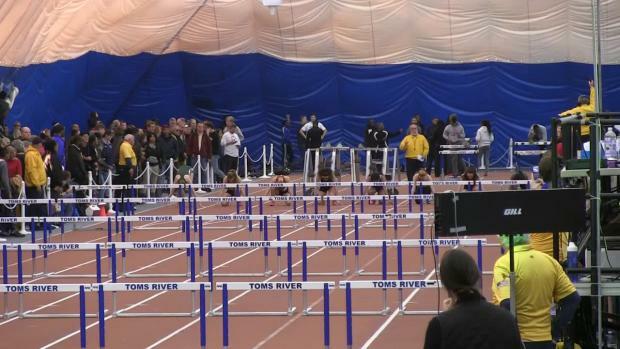 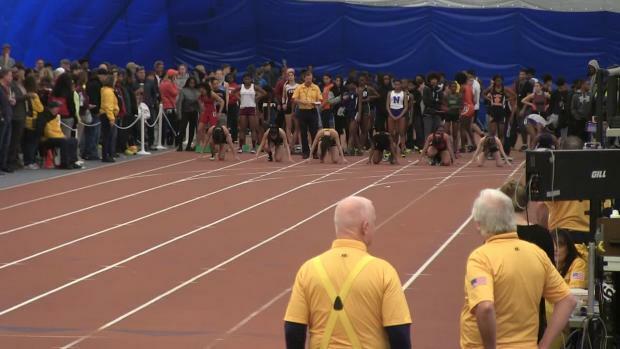 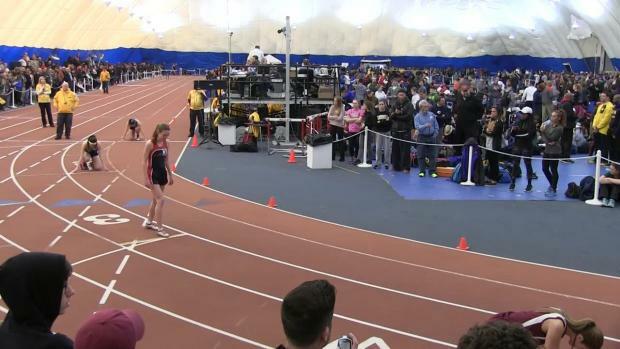 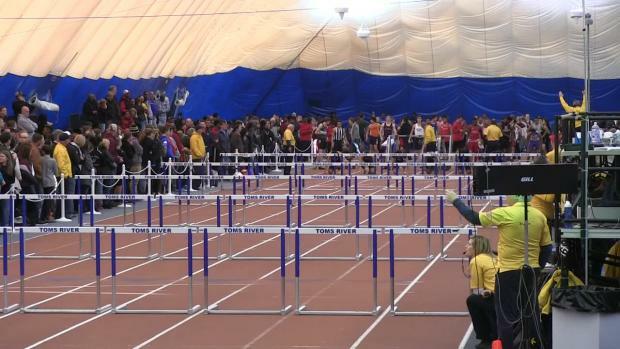 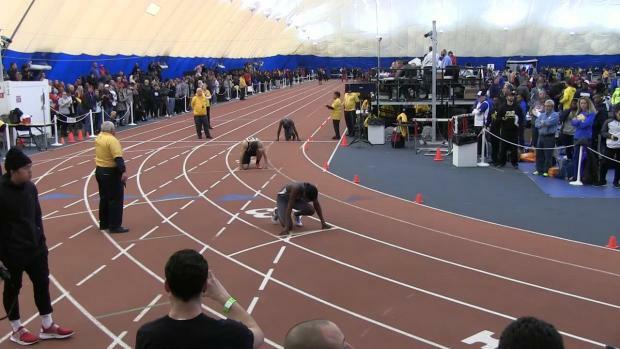 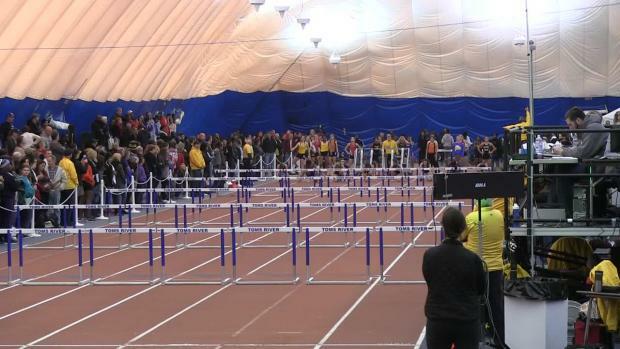 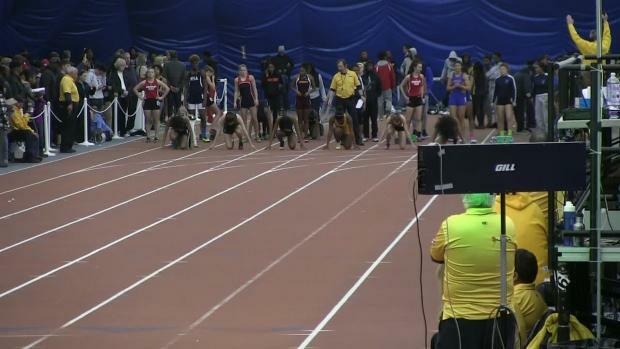 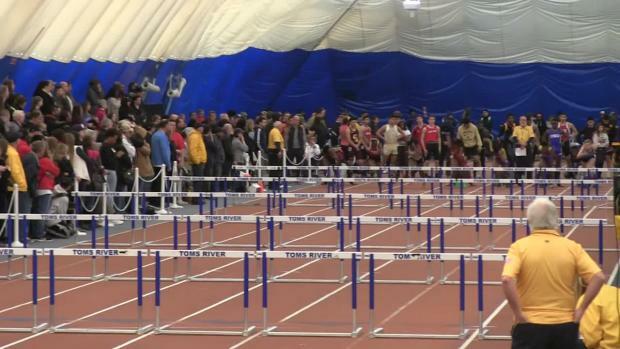 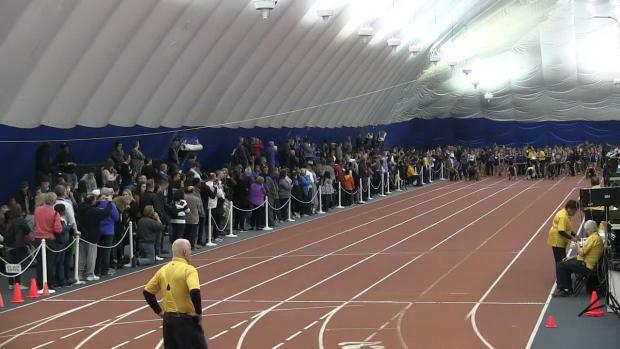 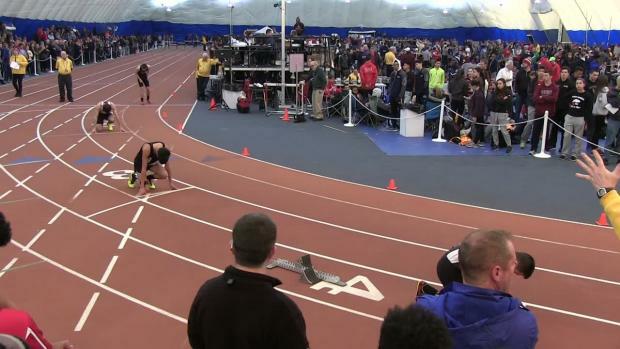 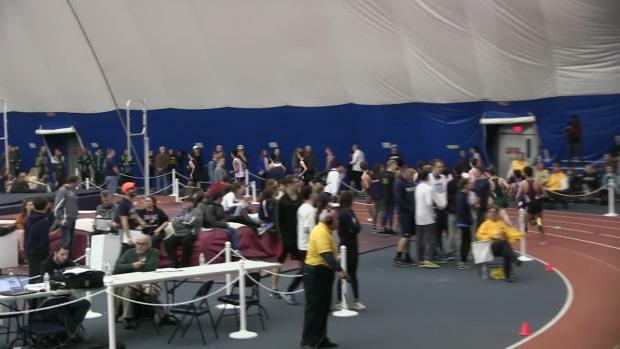 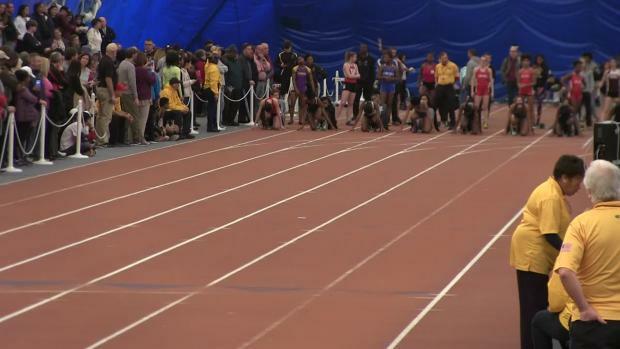 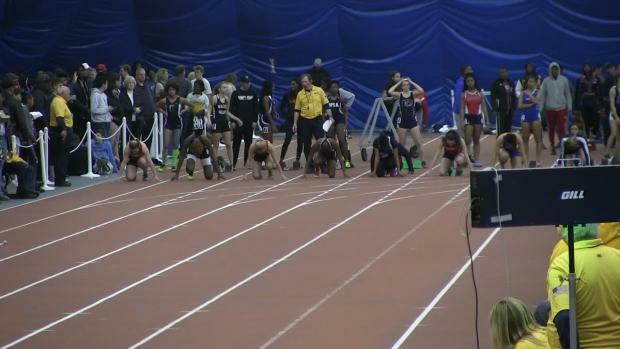 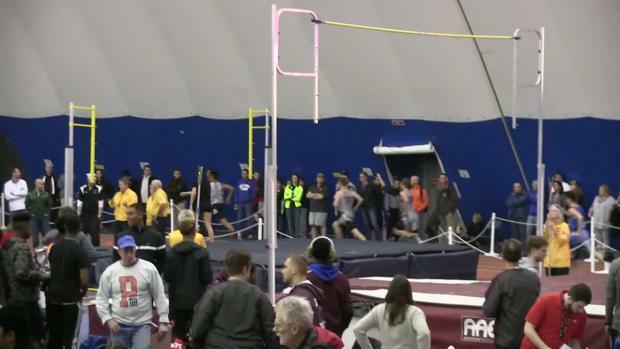 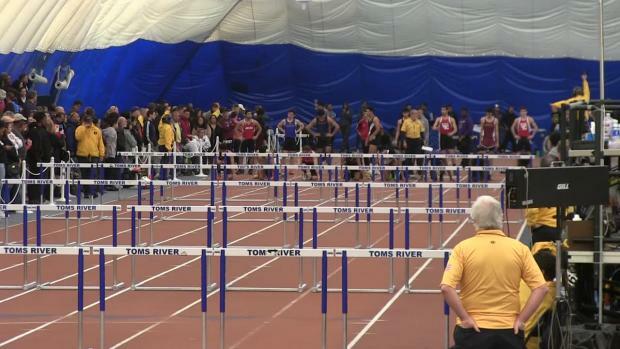 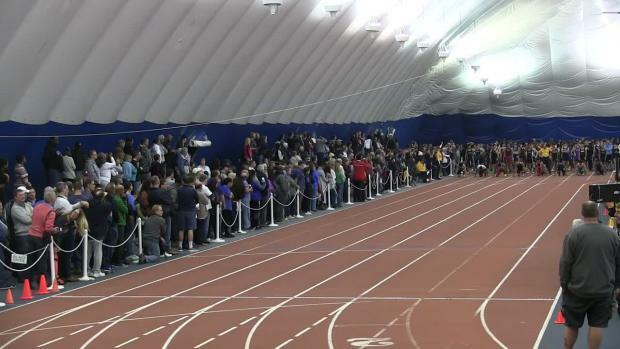 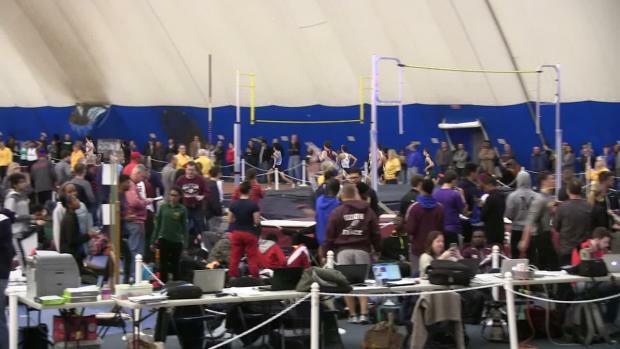 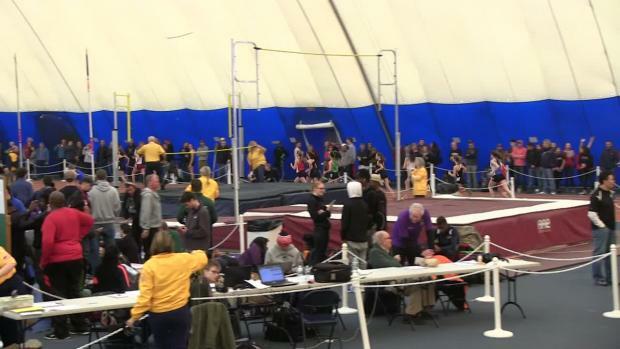 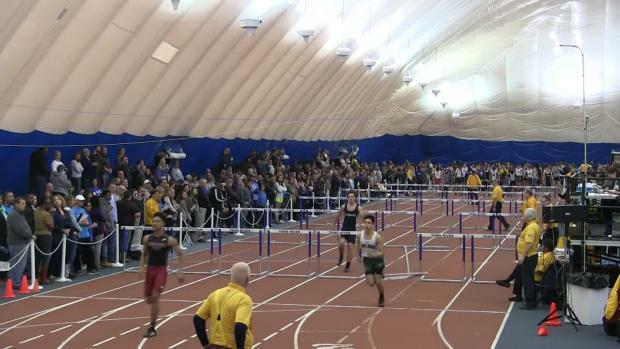 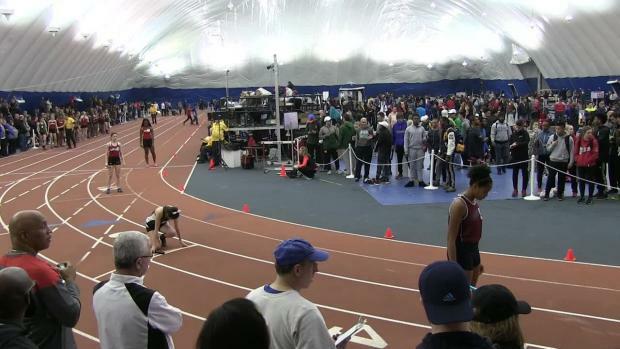 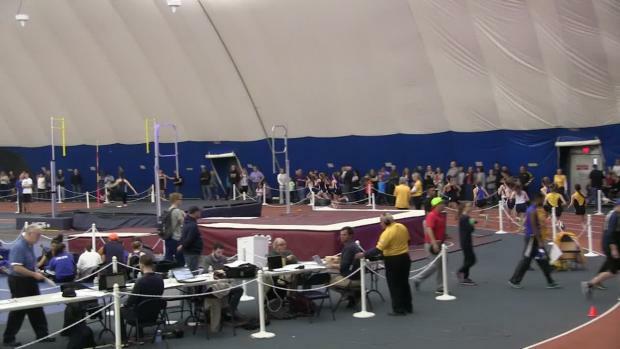 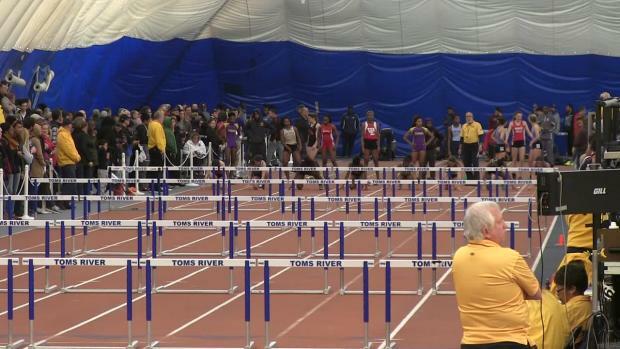 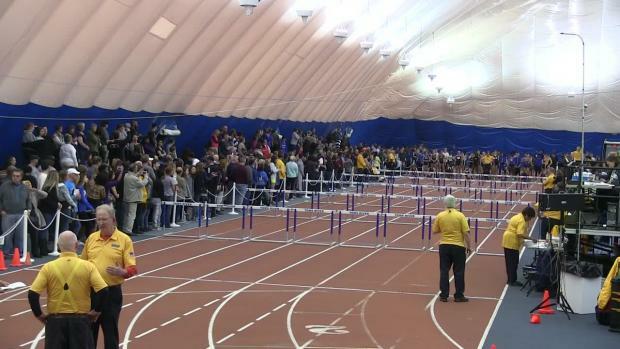 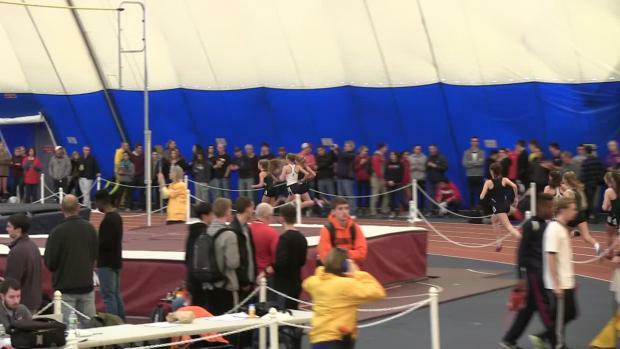 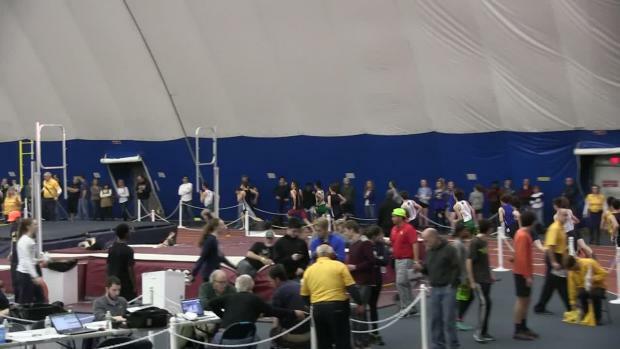 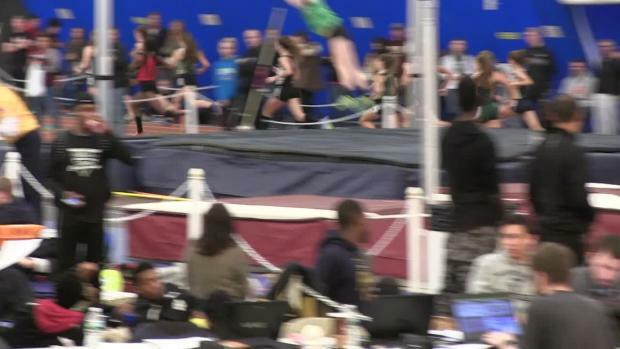 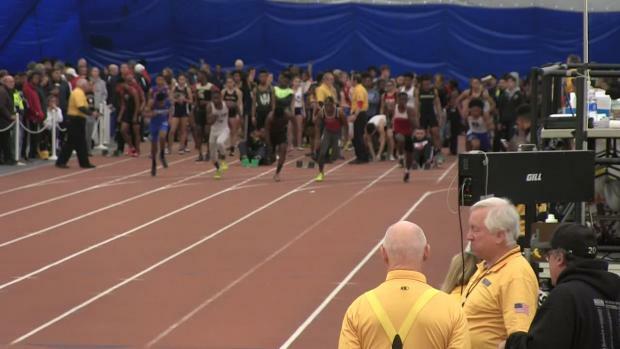 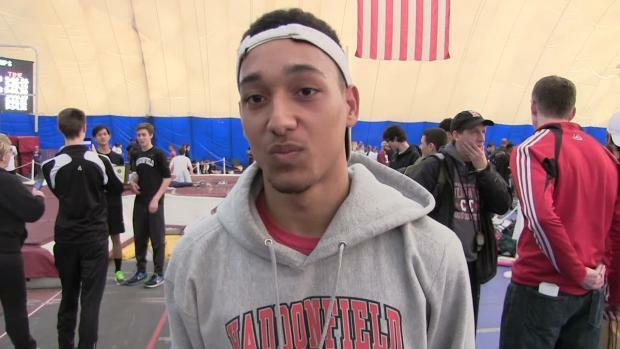 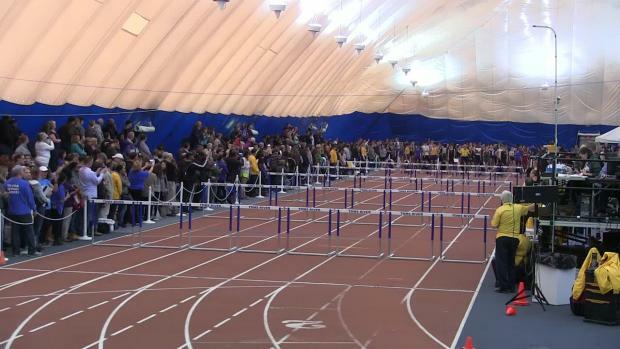 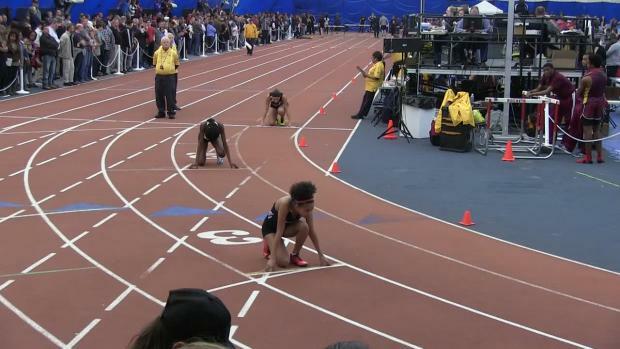 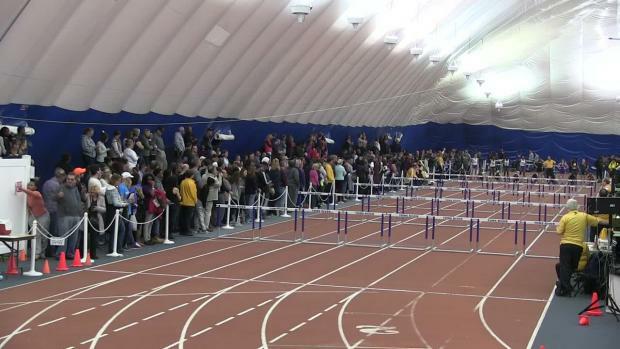 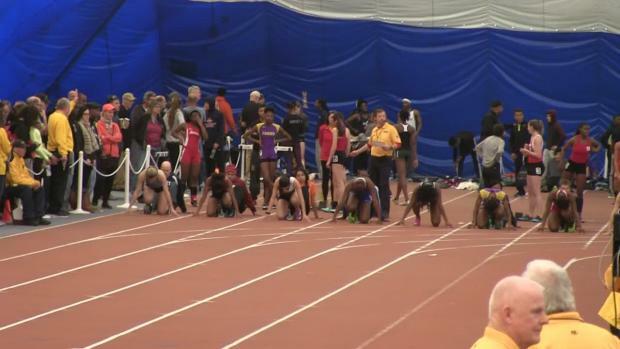 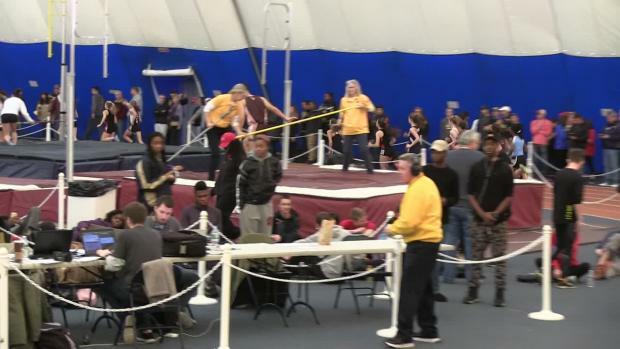 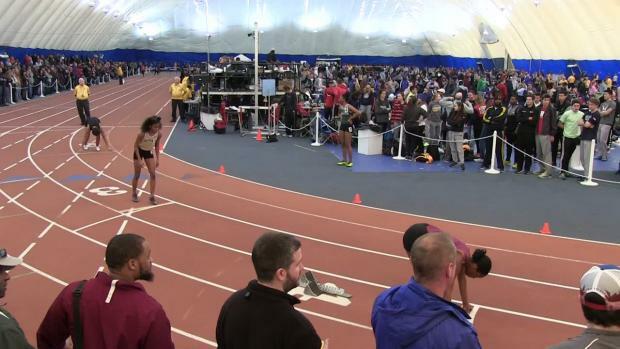 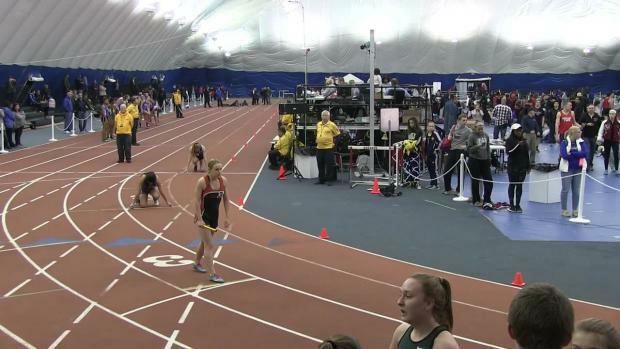 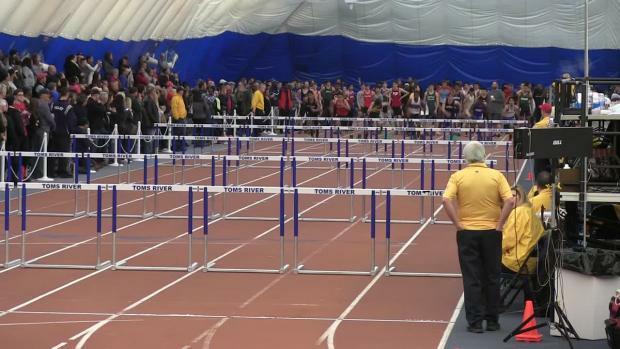 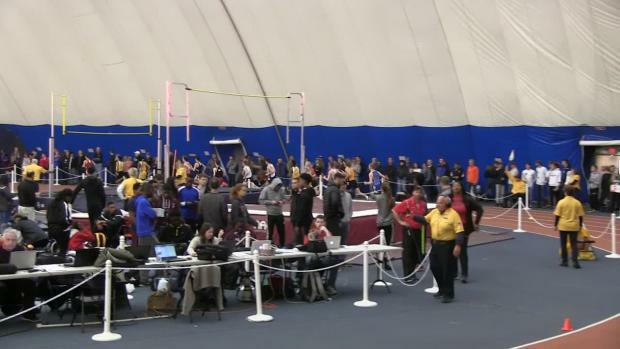 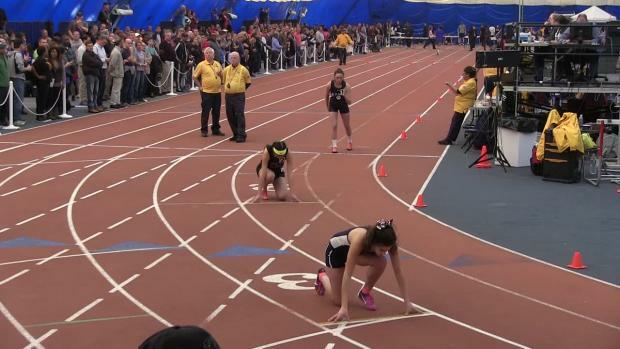 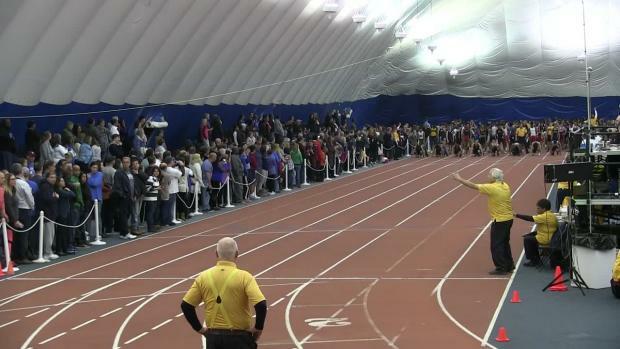 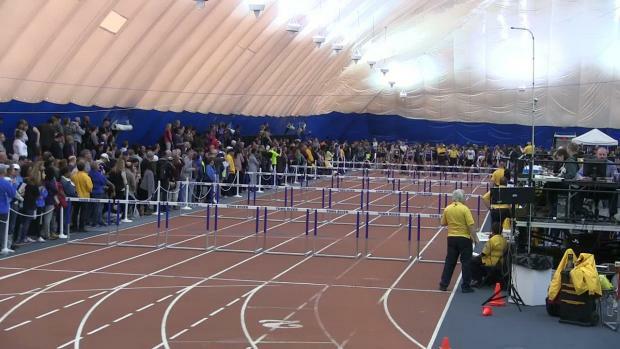 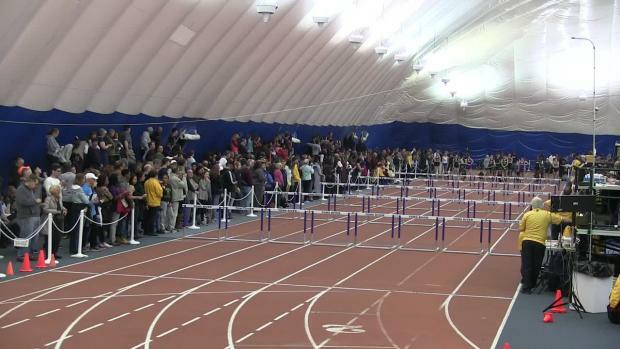 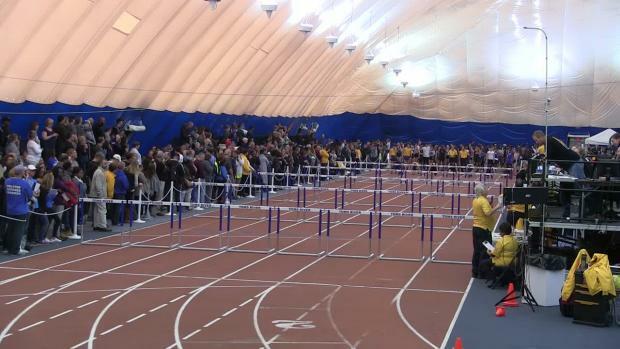 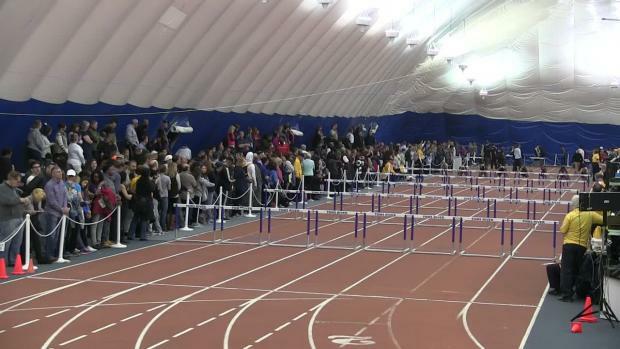 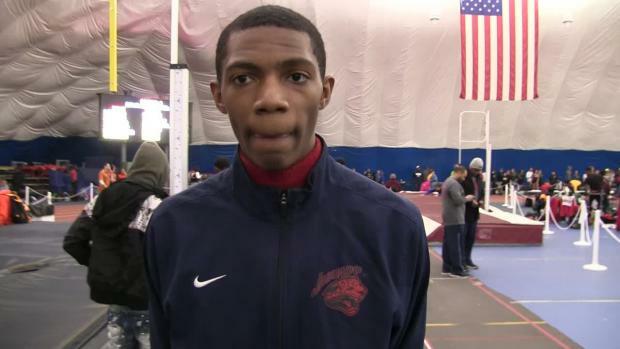 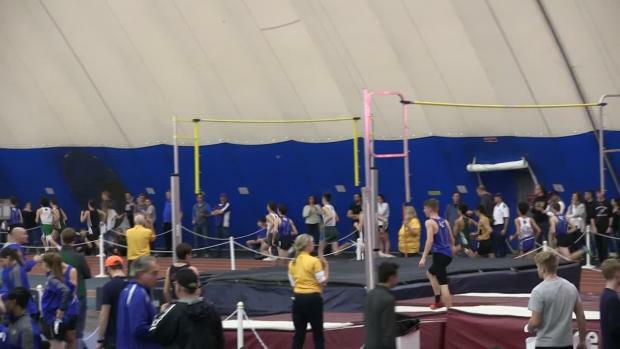 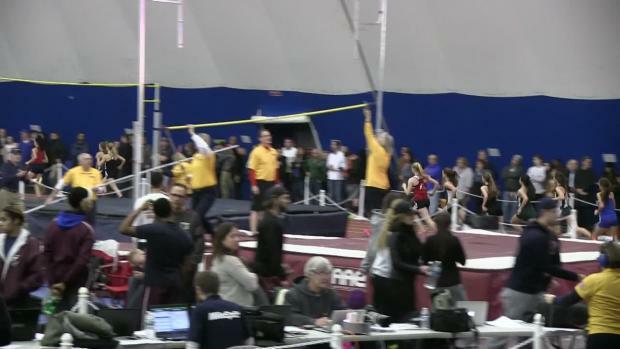 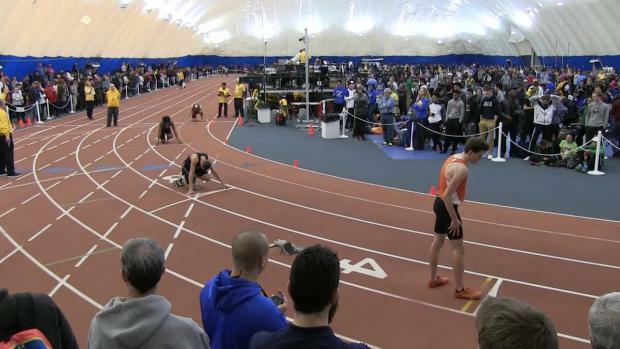 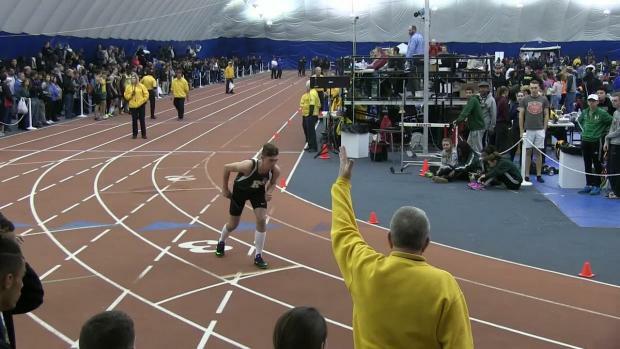 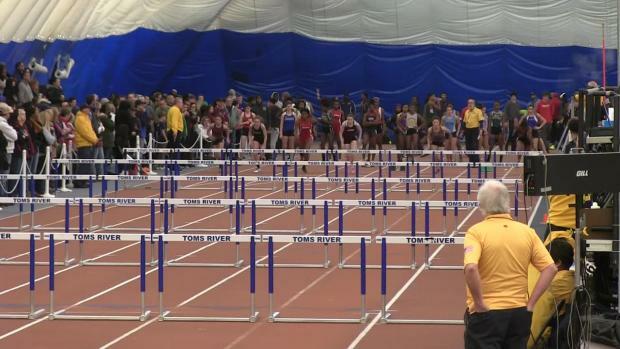 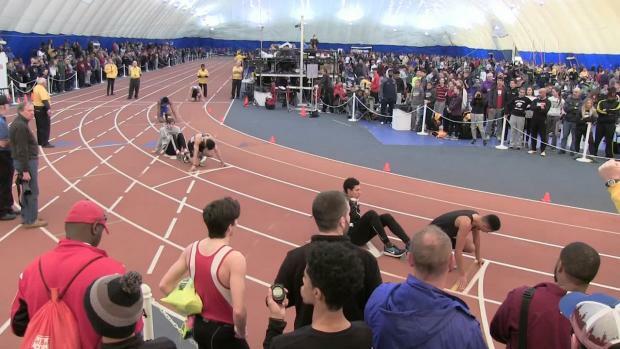 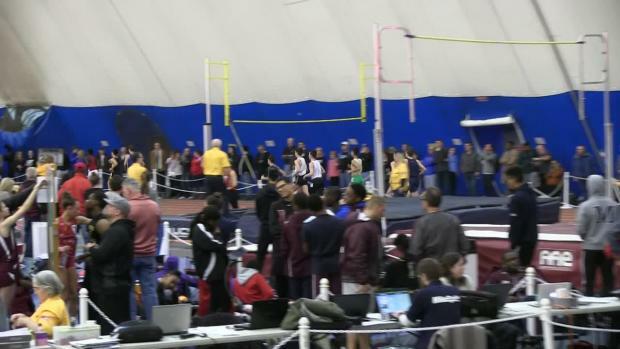 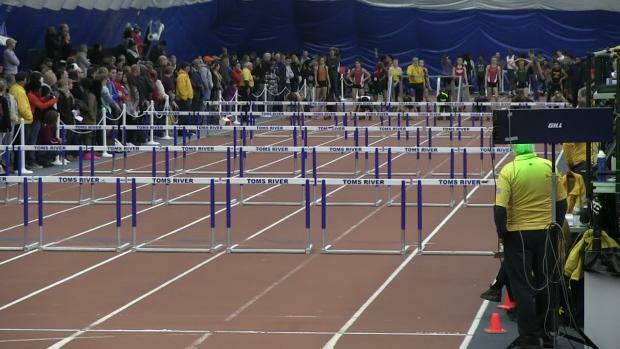 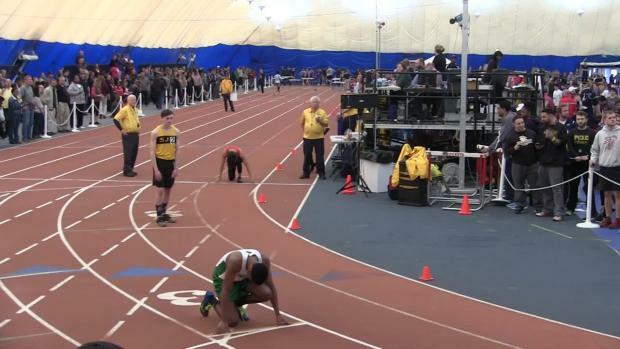 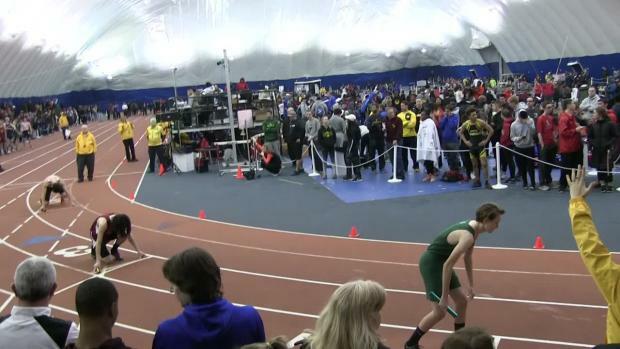 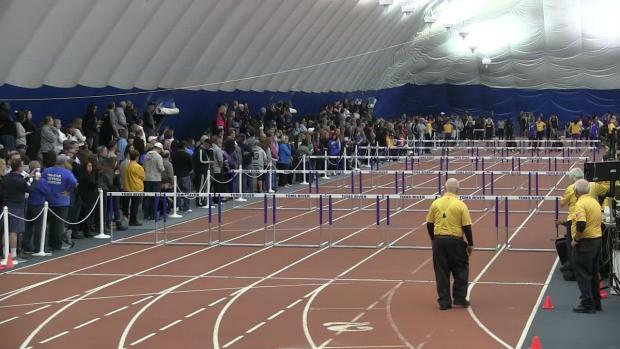 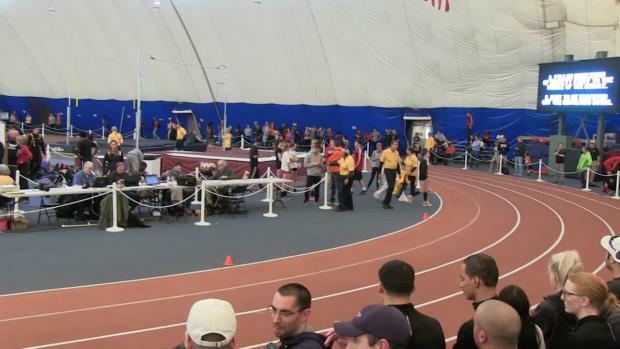 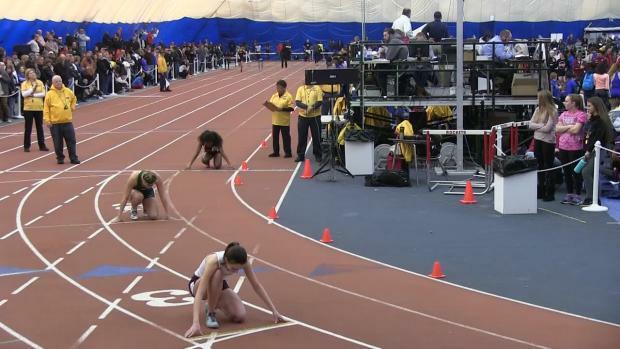 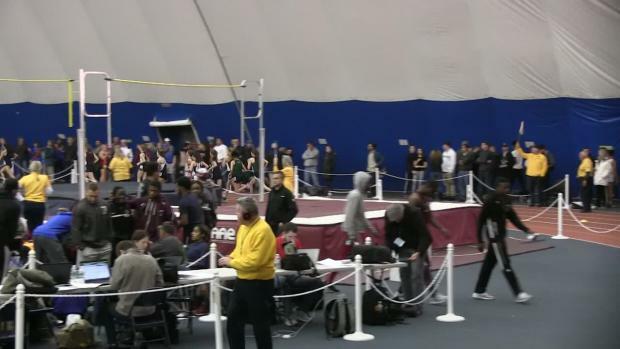 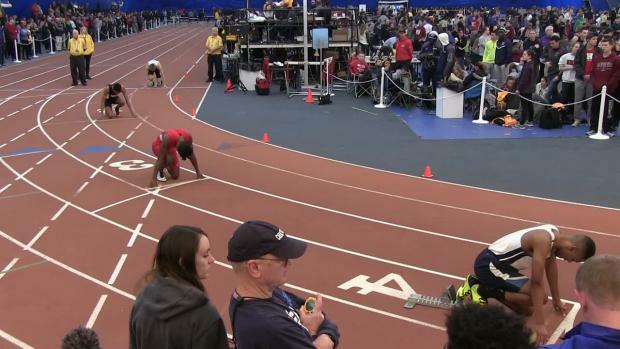 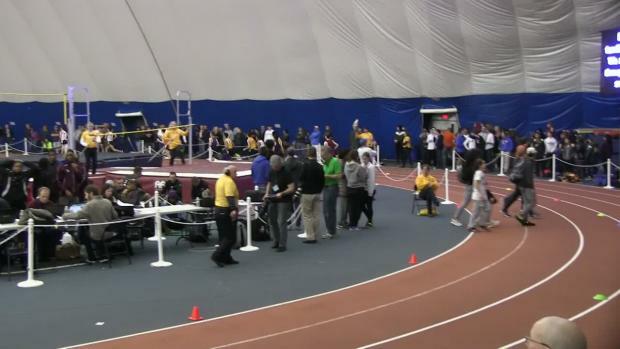 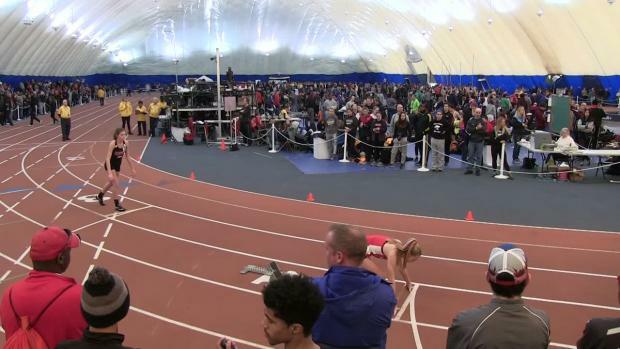 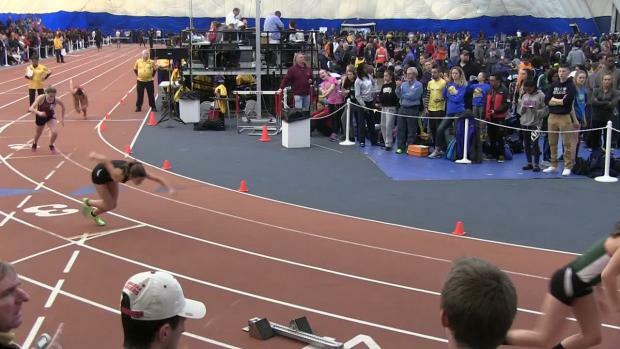 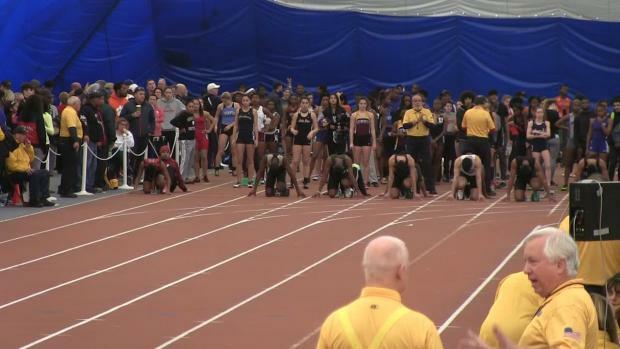 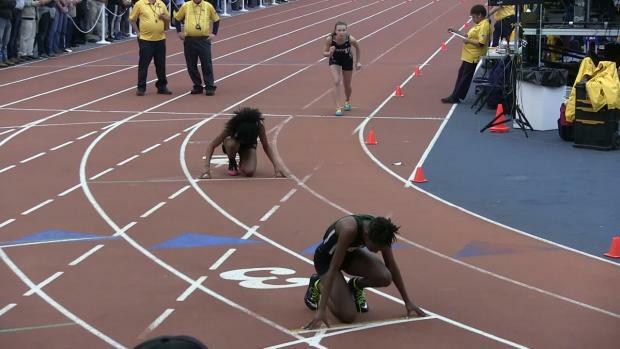 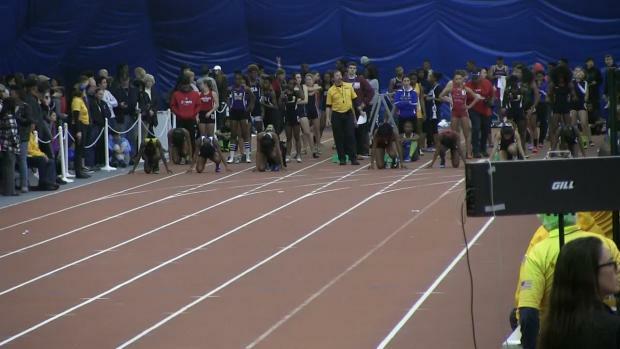 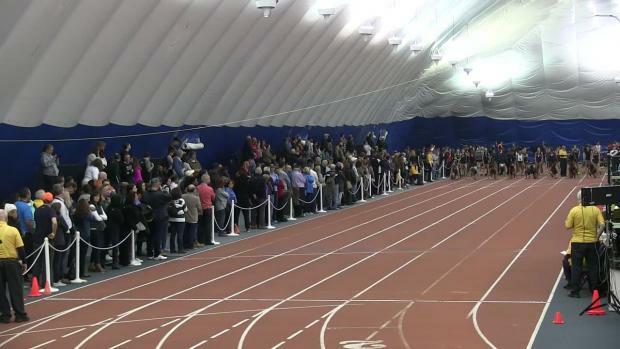 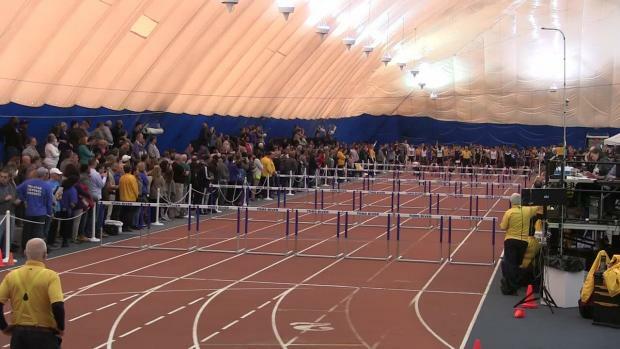 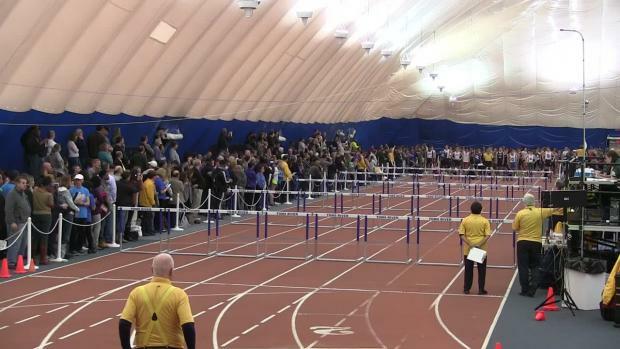 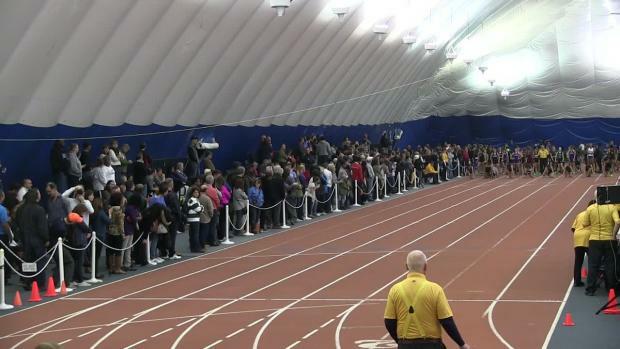 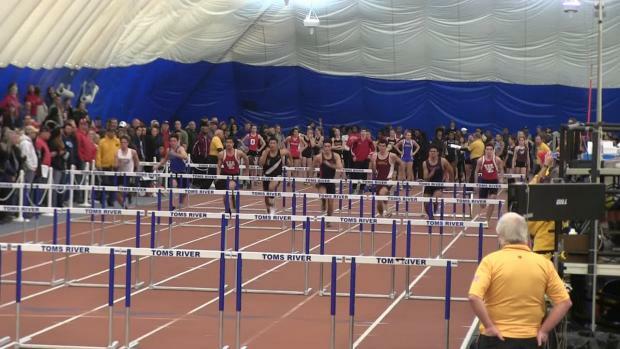 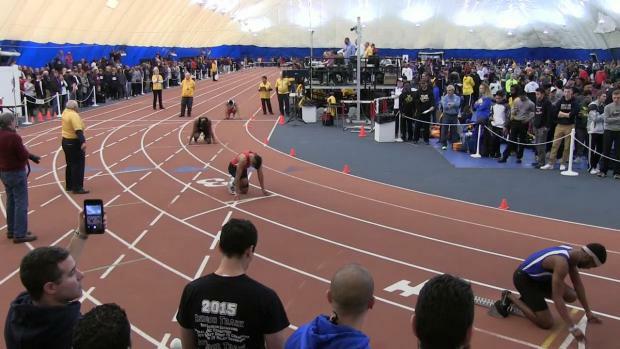 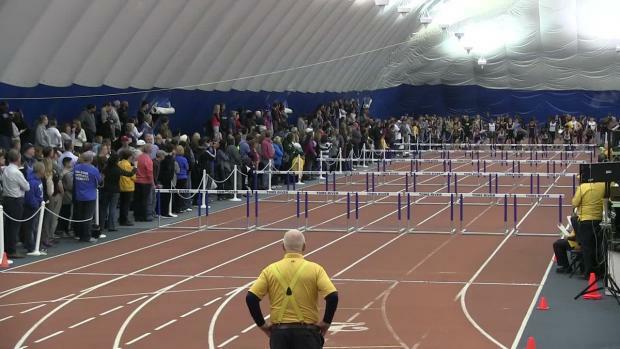 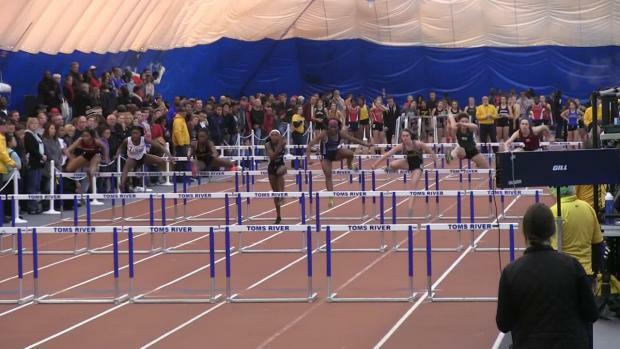 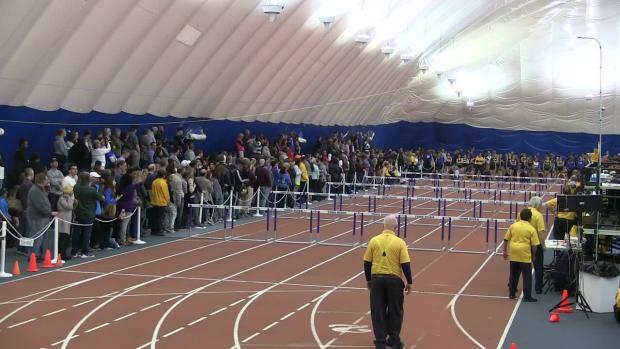 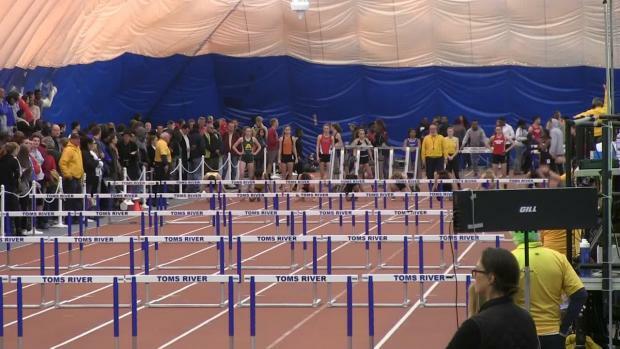 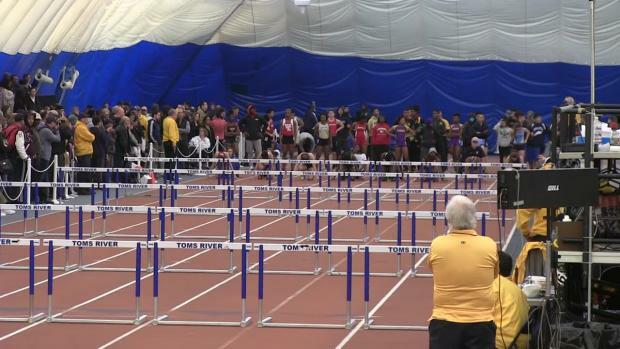 The NJSIAA has released the opening heights for the Group Championships this coming weekend. 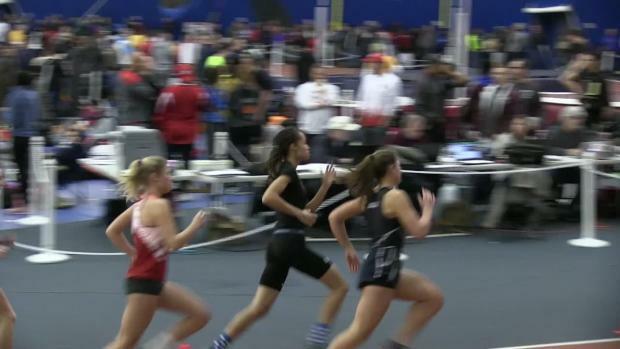 Sydney McLaughlin will take another shot at that national record in the 300 meter Friday night. 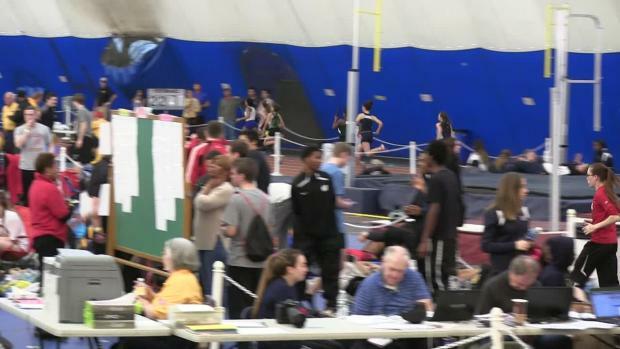 This article features the very best times from all the meets combined. 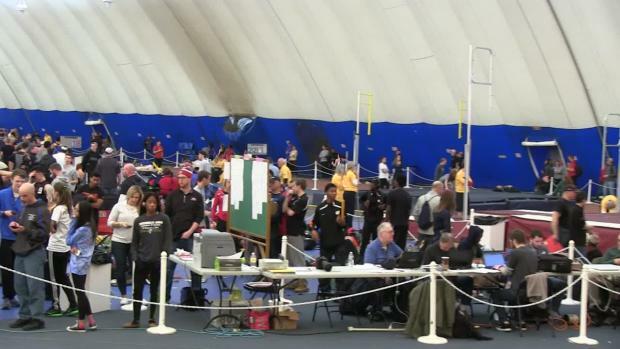 Check-in for the first events will be located in the Intermediate School cafeteria. 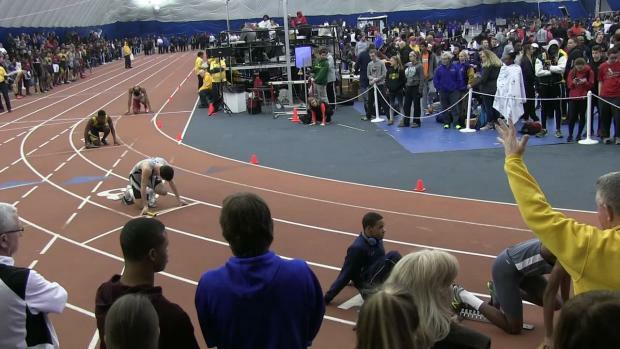 A meet with big time performances. 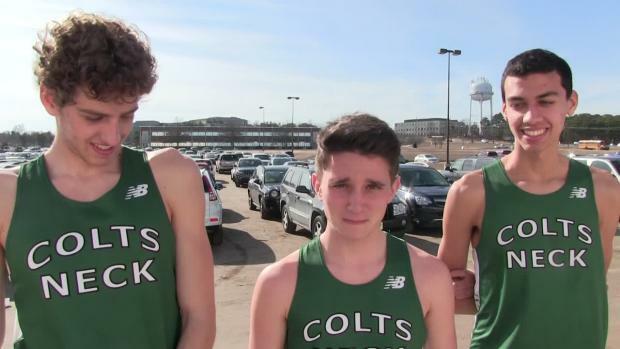 A tale of triples and doubles, McNair Academic won their first state team title in school history on Friday with 47 points. 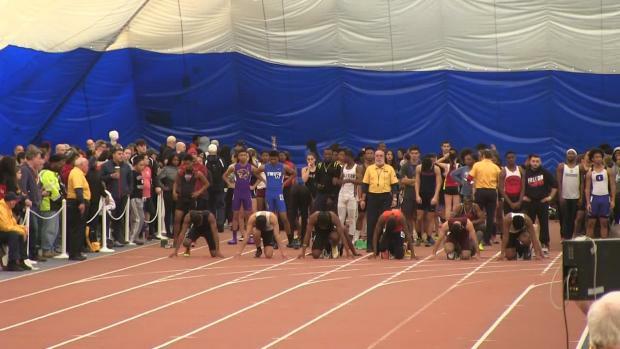 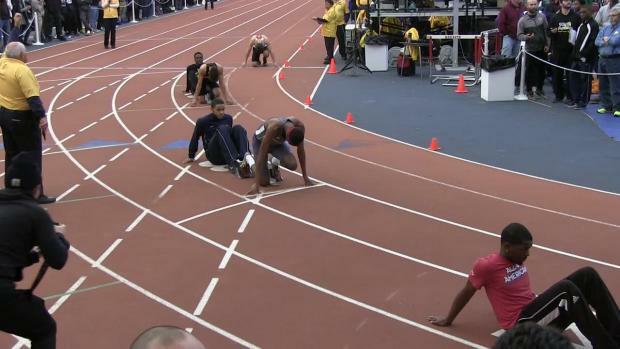 This meet was almost a showcase in itself. 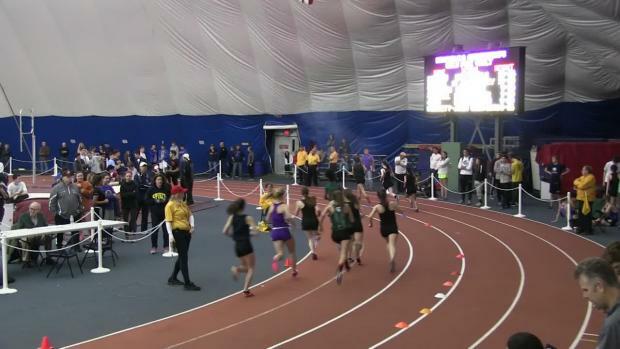 This has been a historic season for the Mountain Lakes girls, from state relays to sectionals and now their first Group 1 state championship in school history. 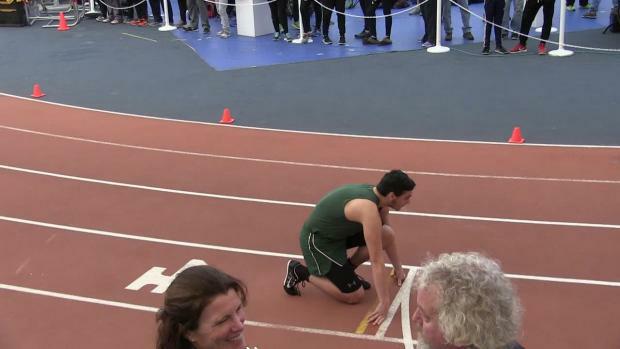 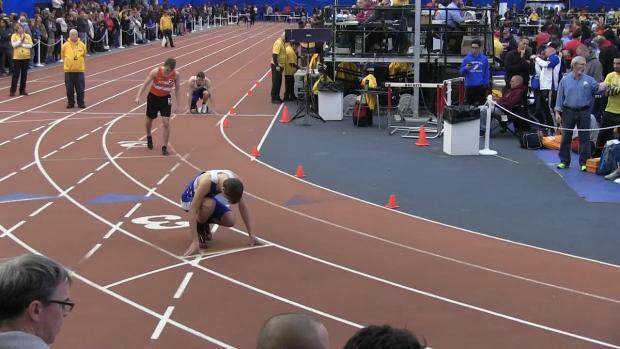 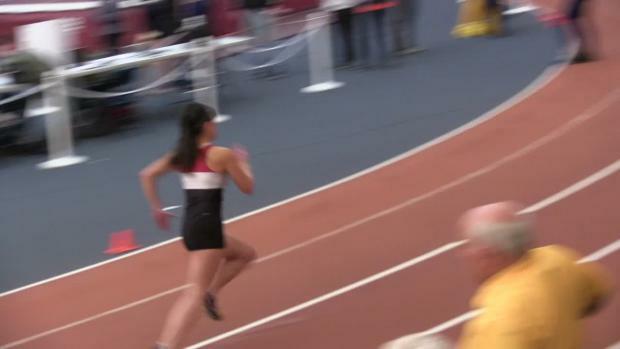 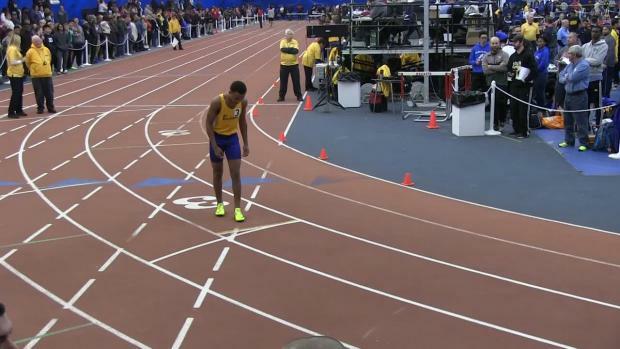 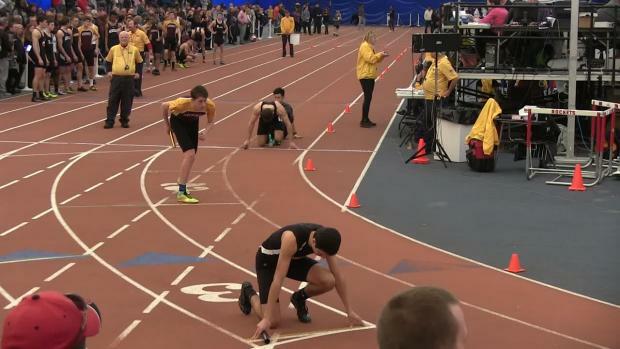 It came down to the 4x400 meter. 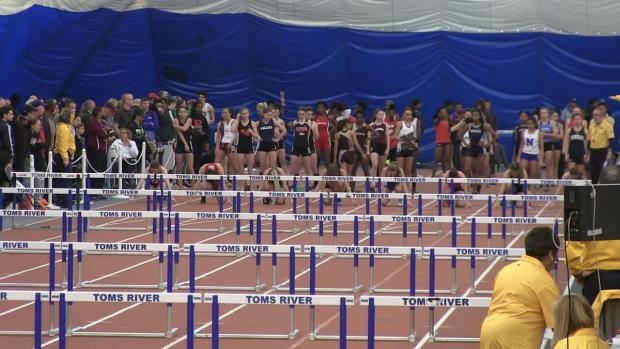 The West Essex girls won their first state title in school history on Saturday scoring 44 points. 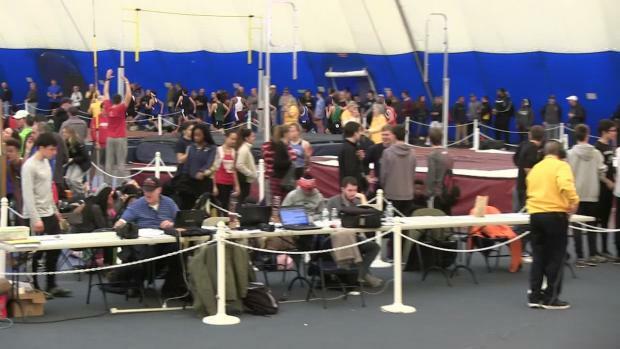 A look at our Virtual Meet feature and what you can do with it. 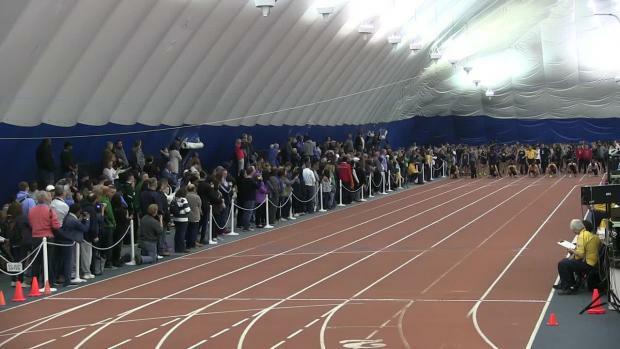 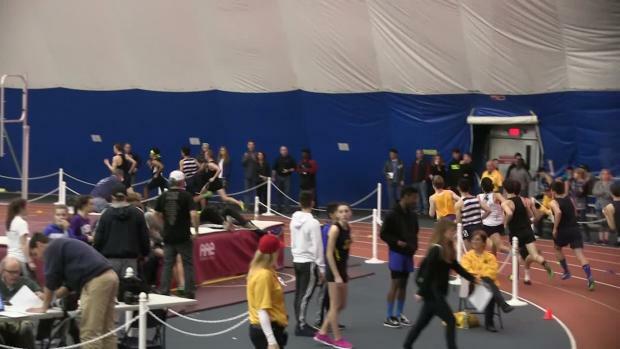 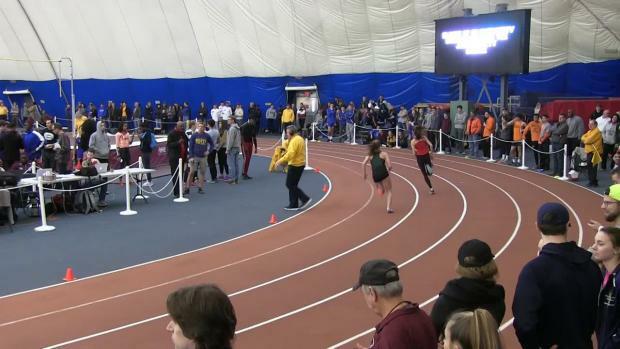 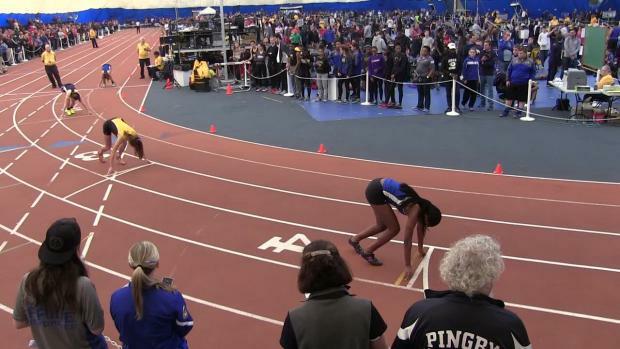 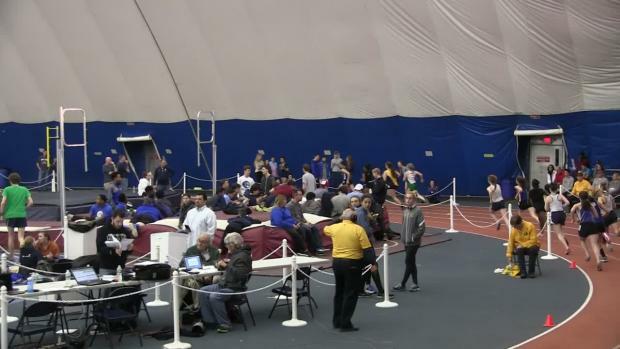 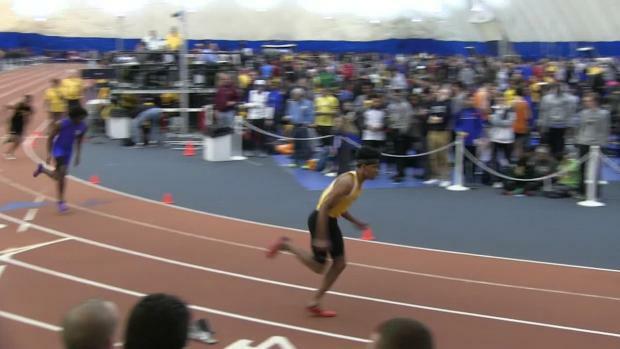 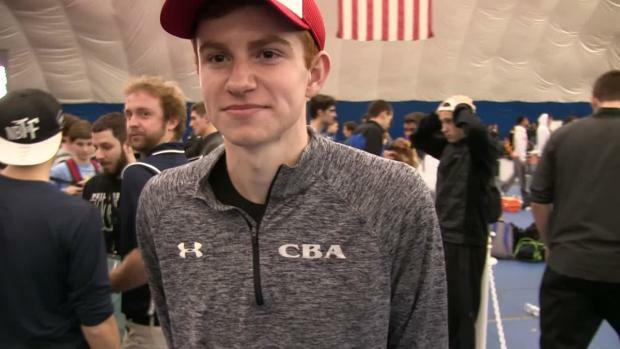 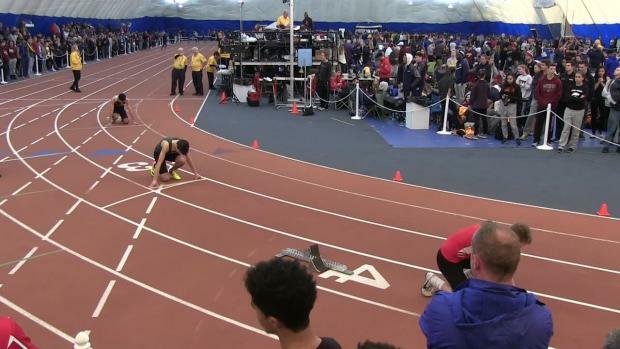 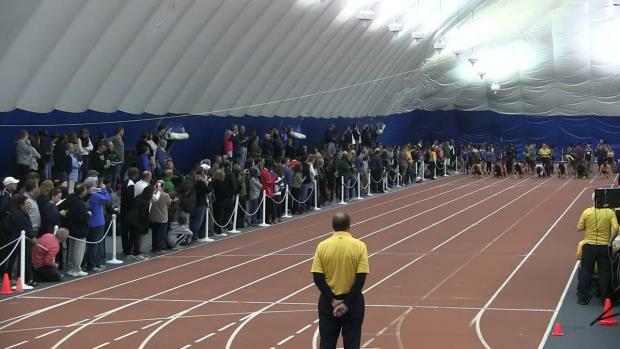 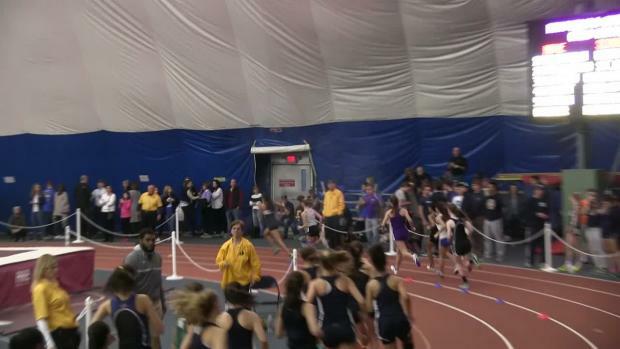 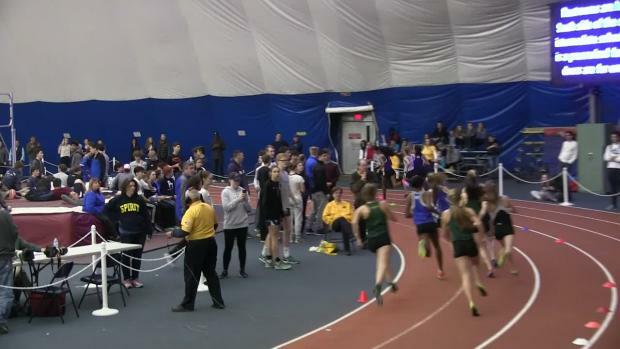 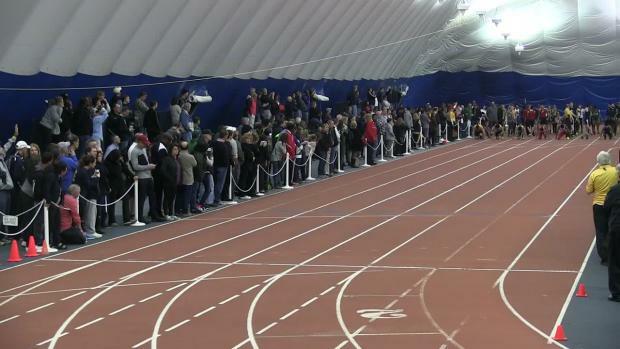 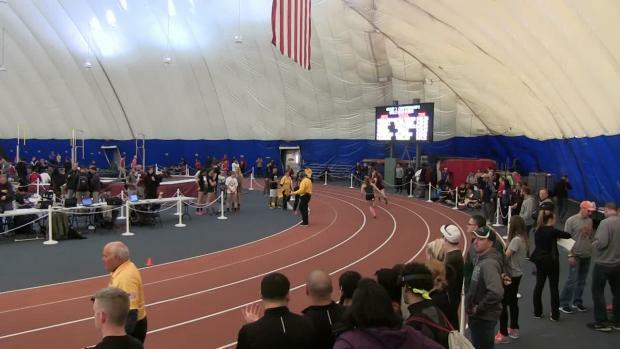 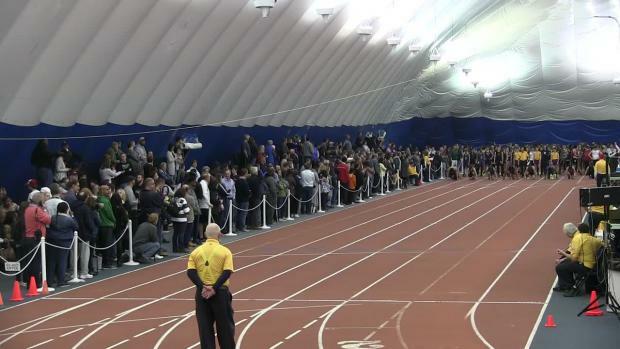 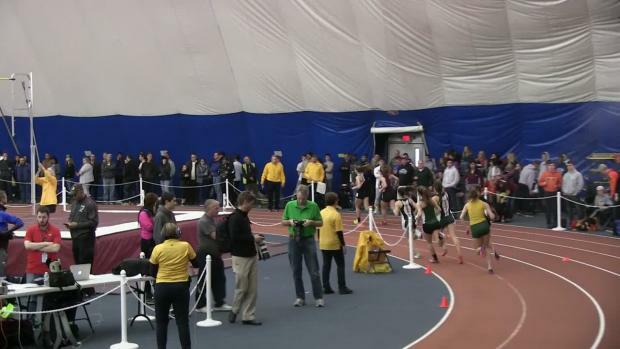 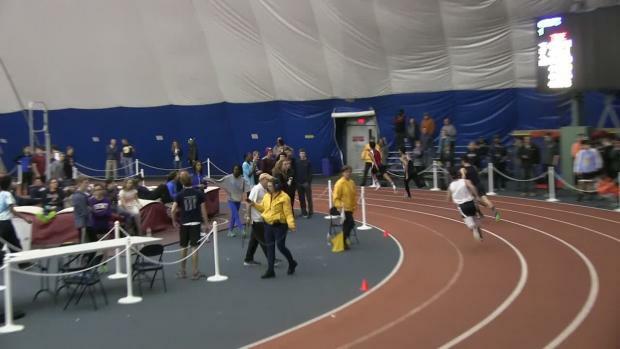 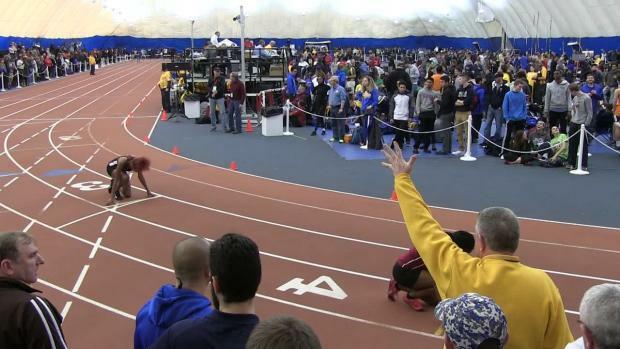 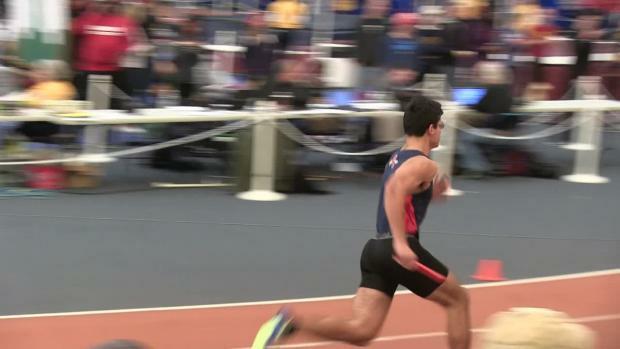 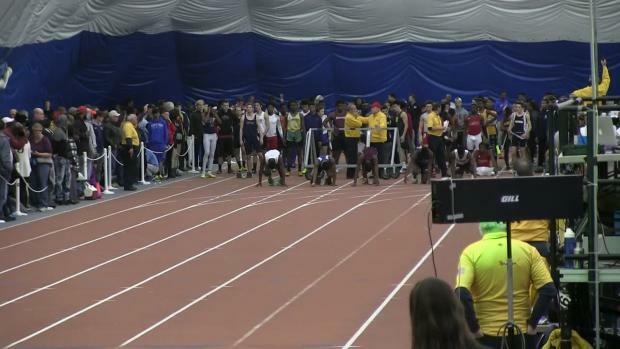 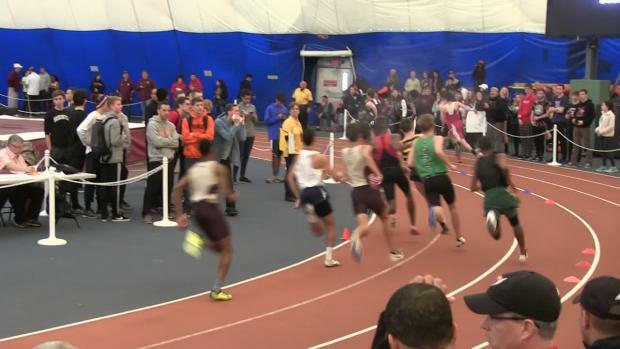 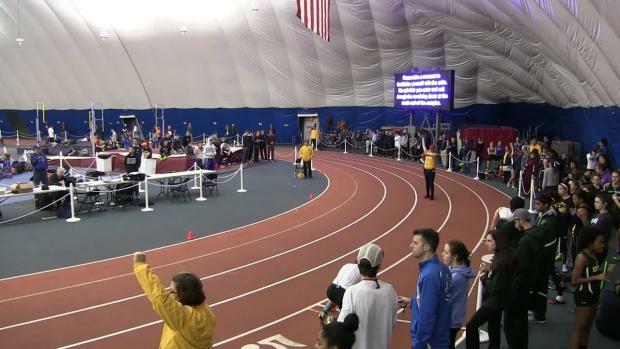 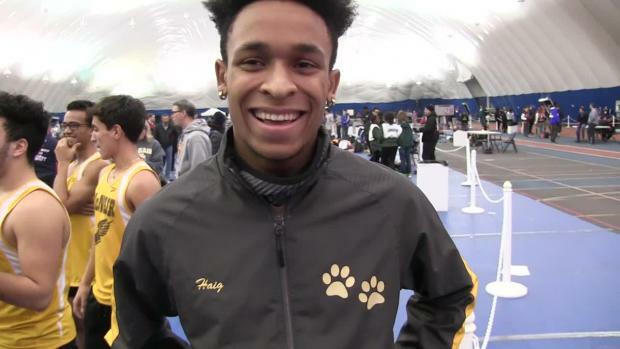 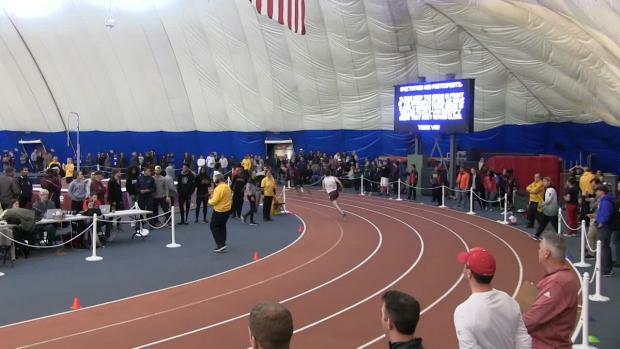 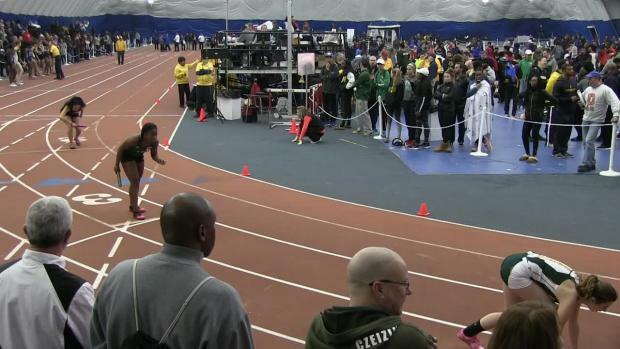 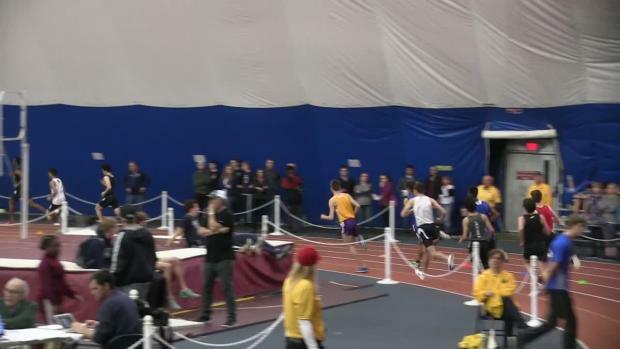 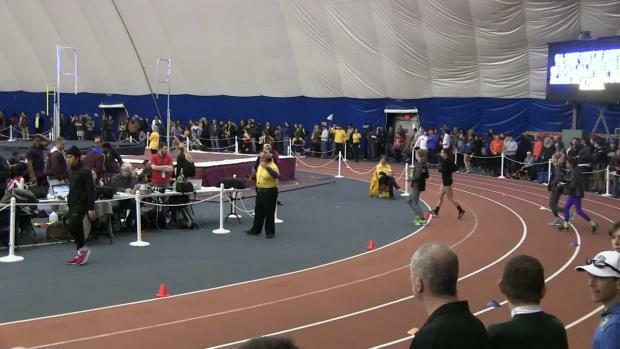 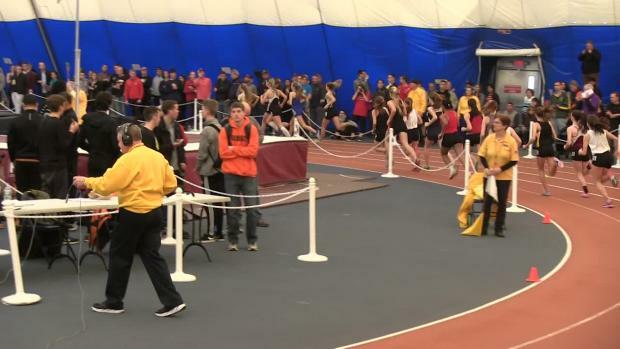 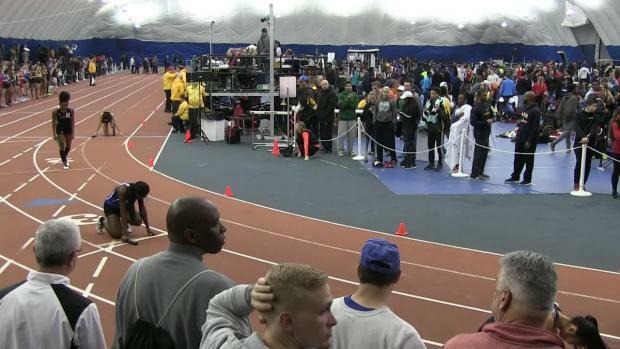 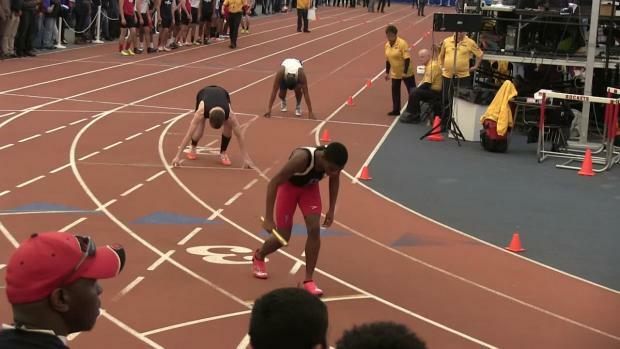 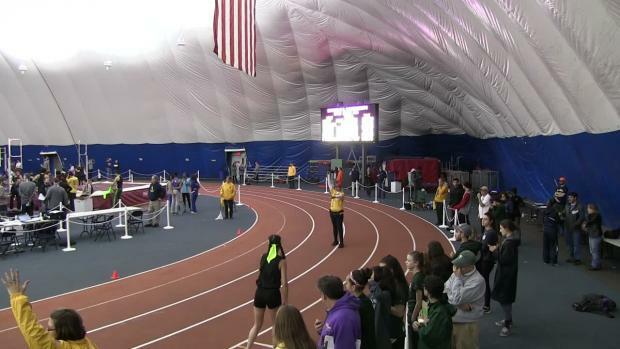 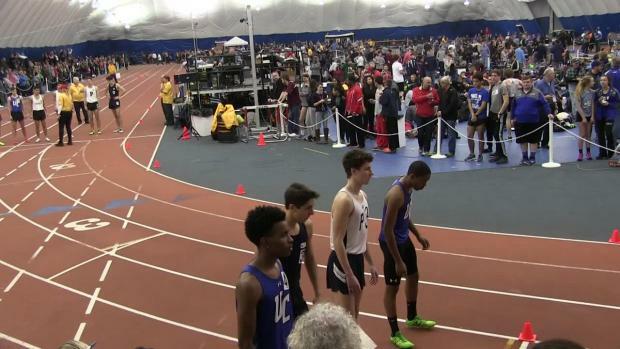 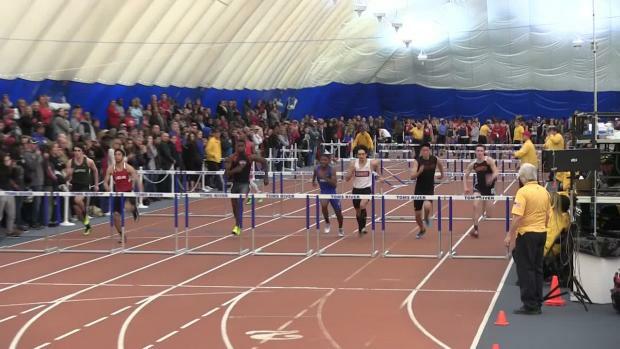 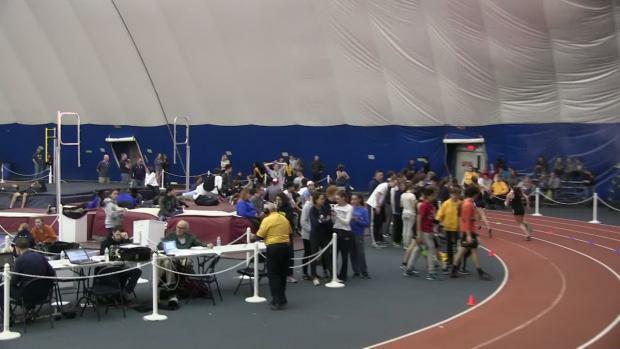 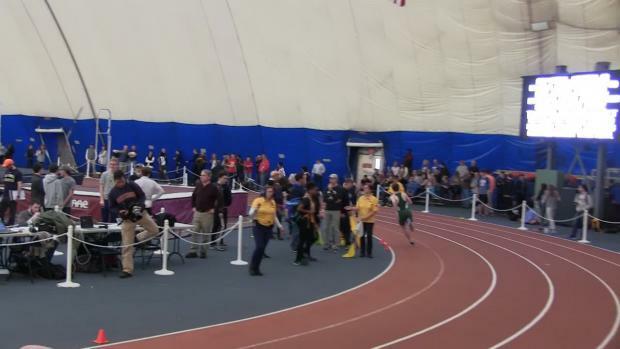 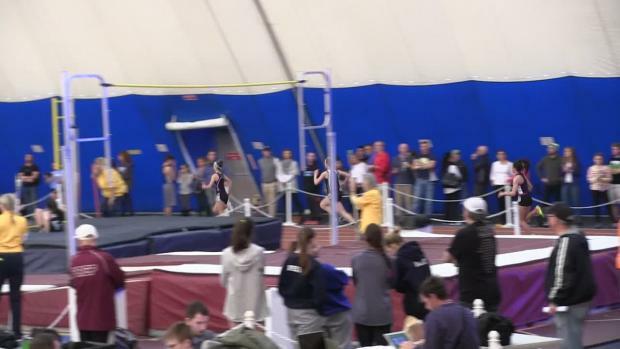 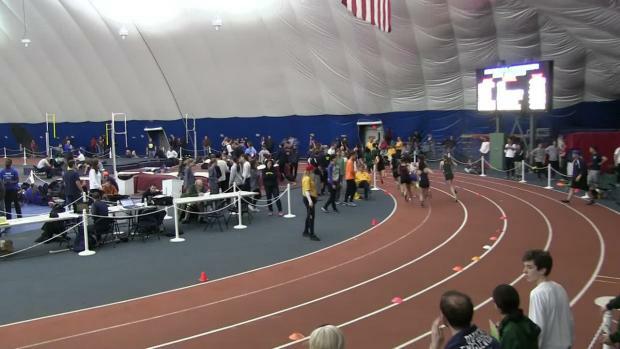 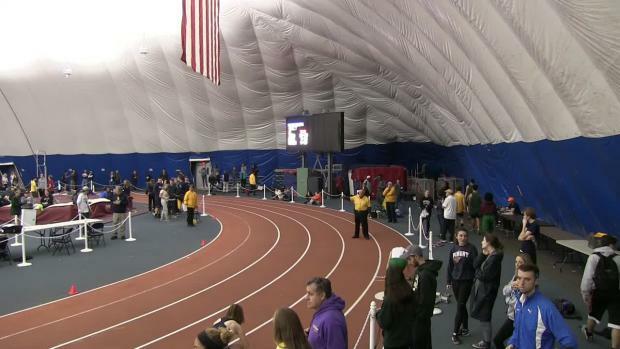 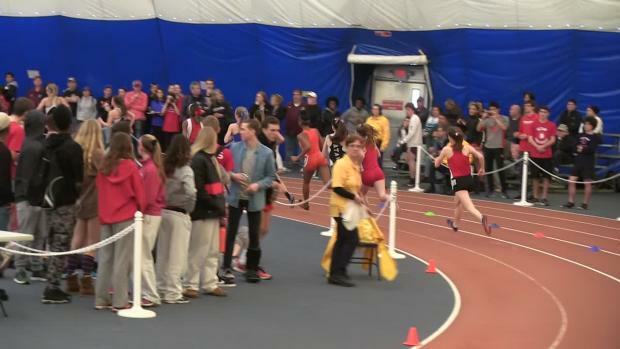 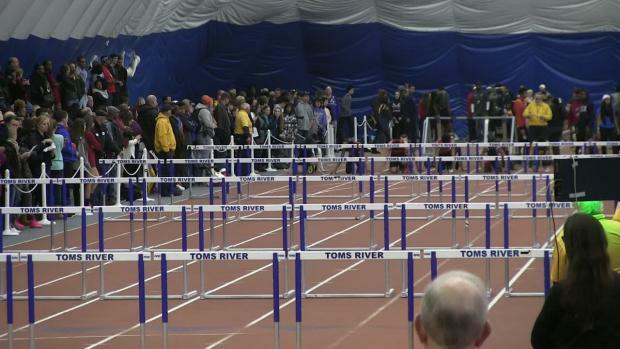 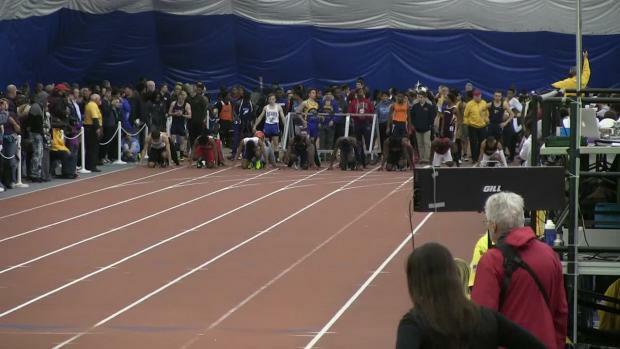 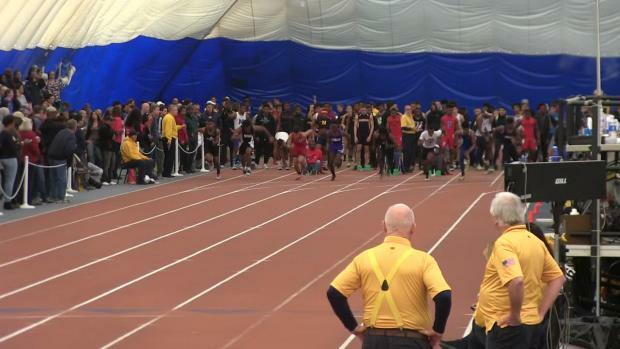 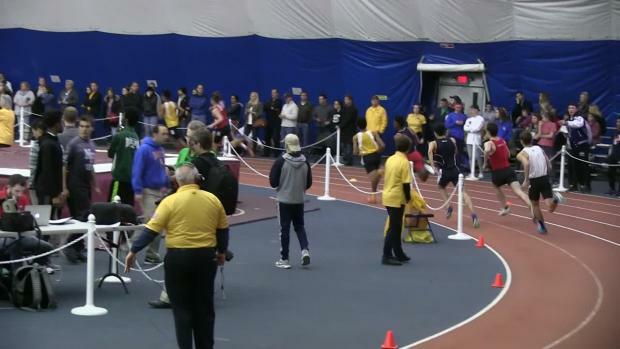 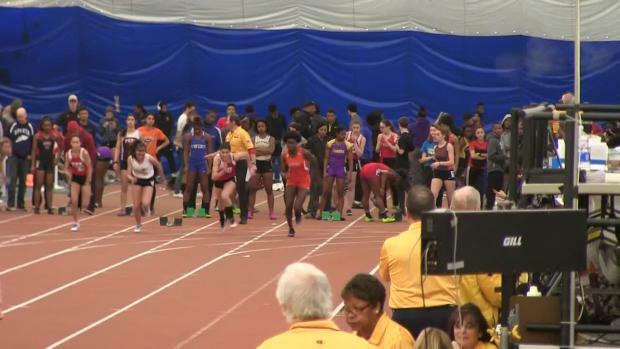 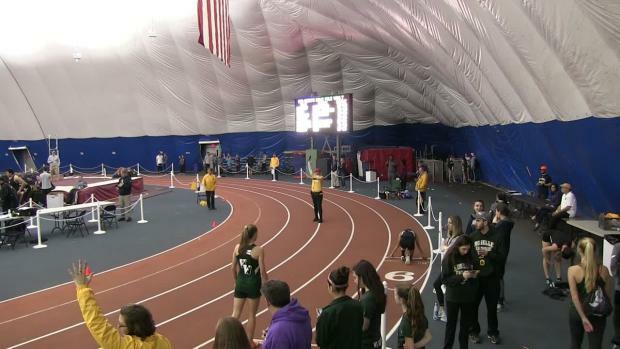 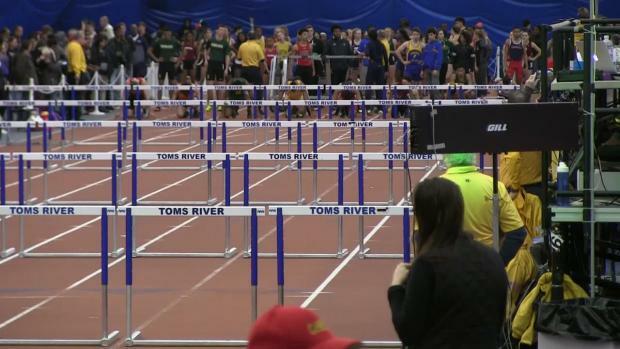 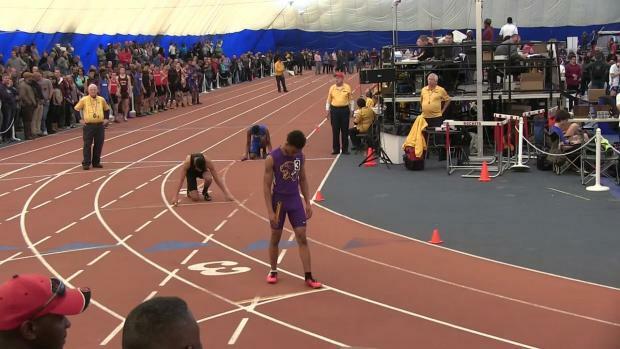 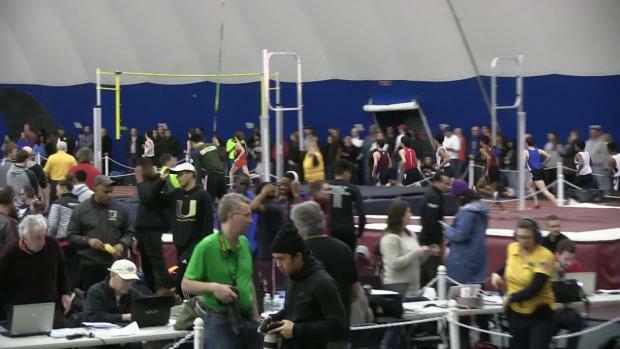 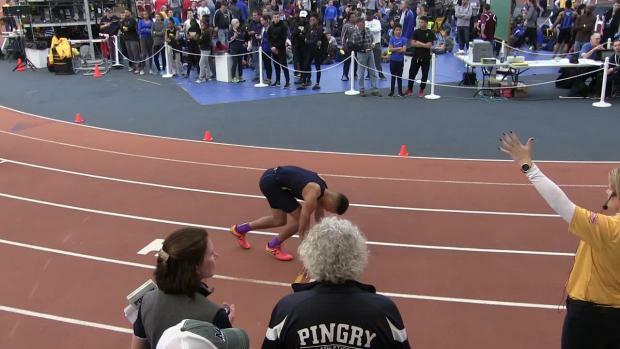 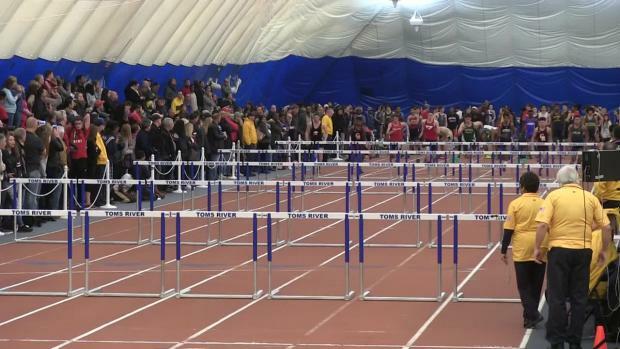 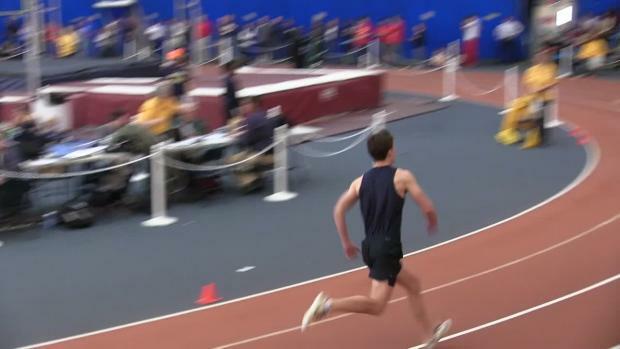 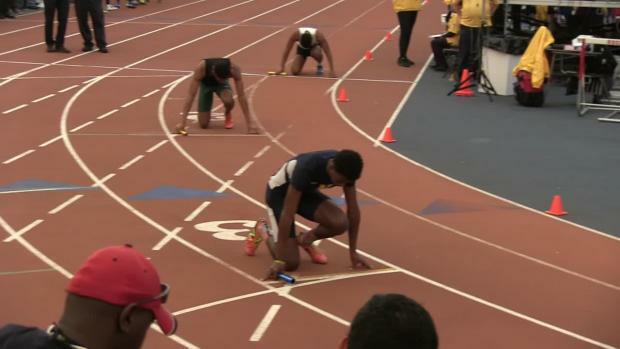 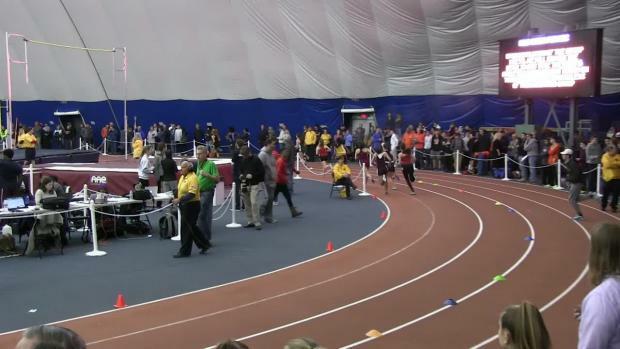 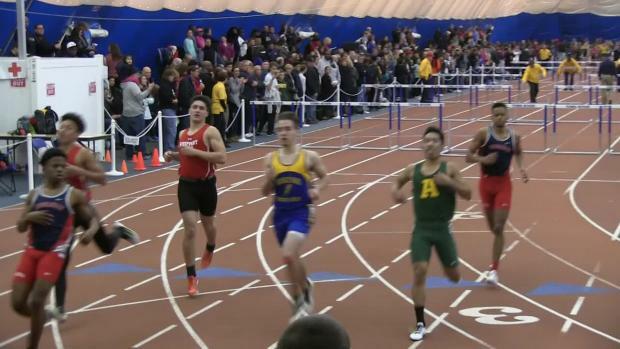 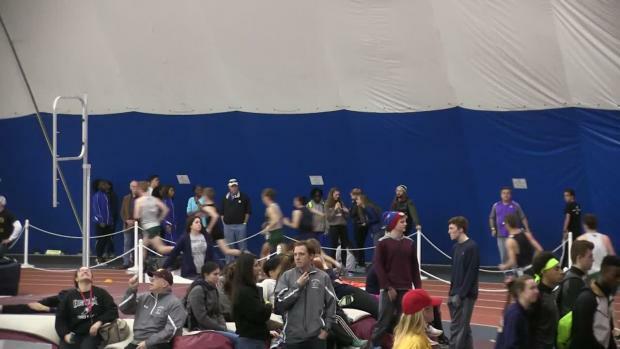 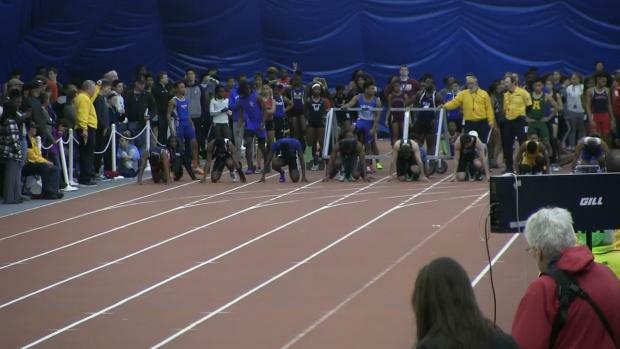 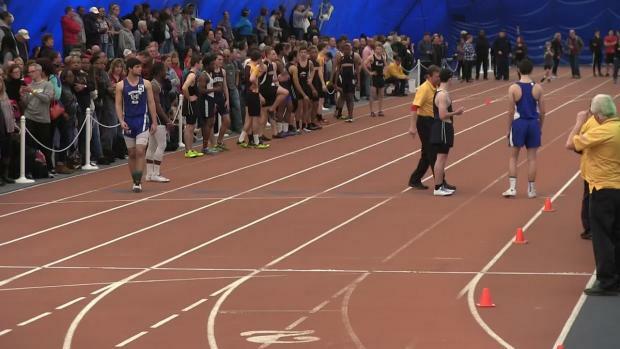 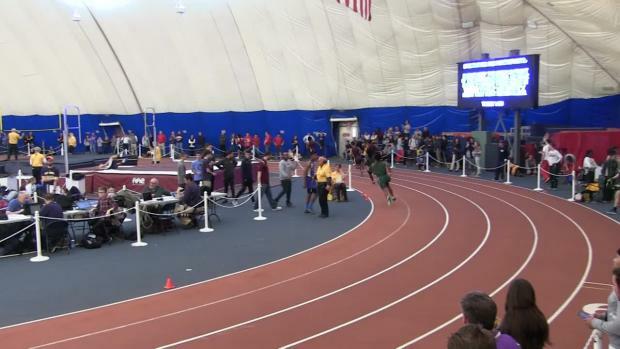 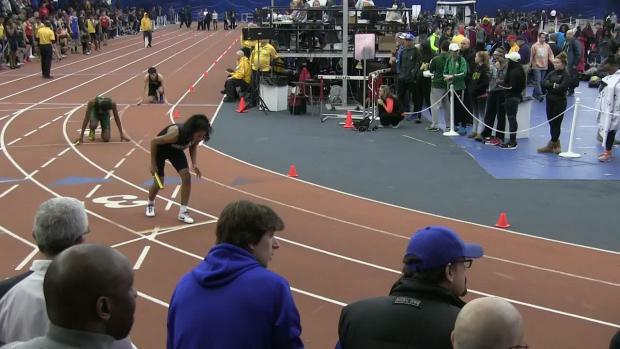 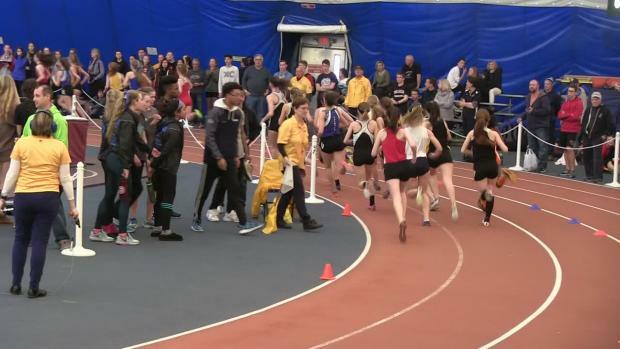 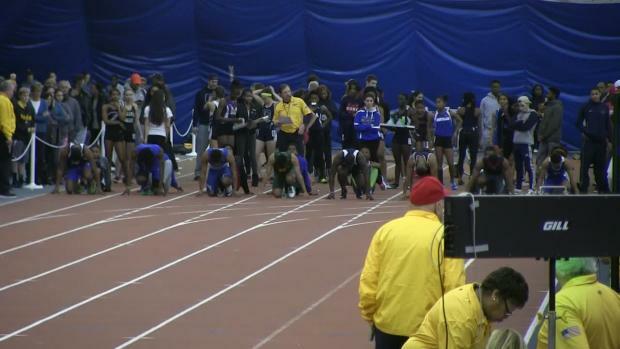 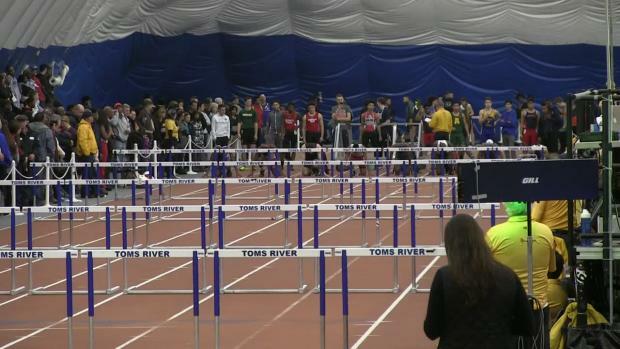 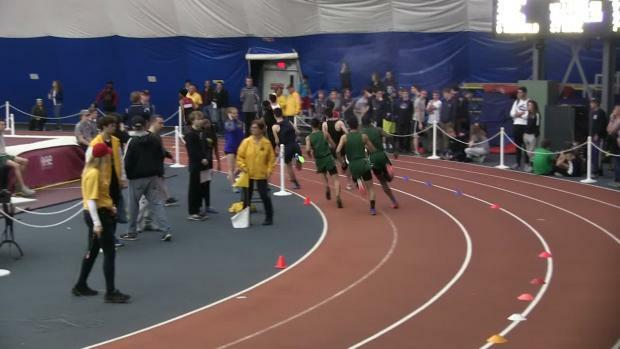 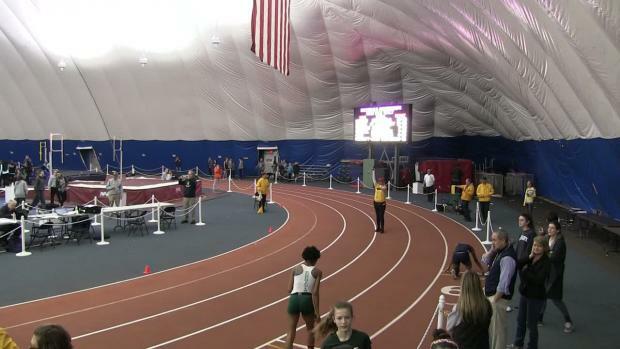 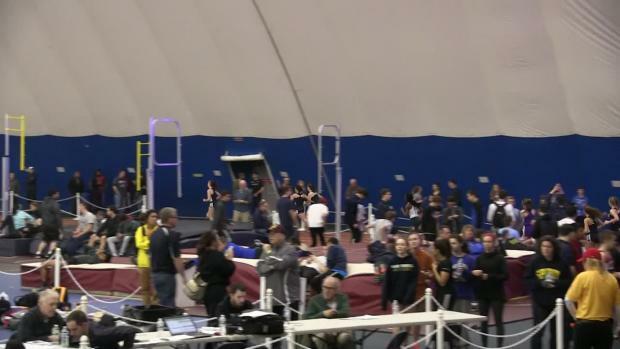 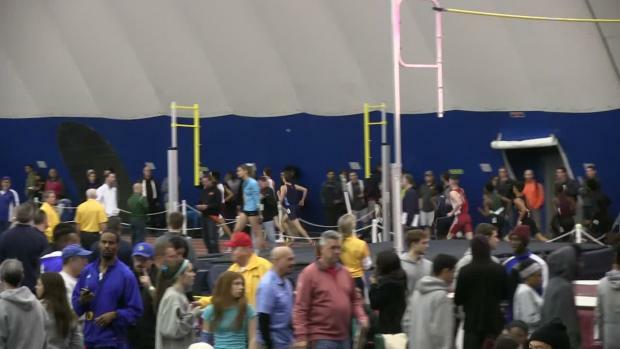 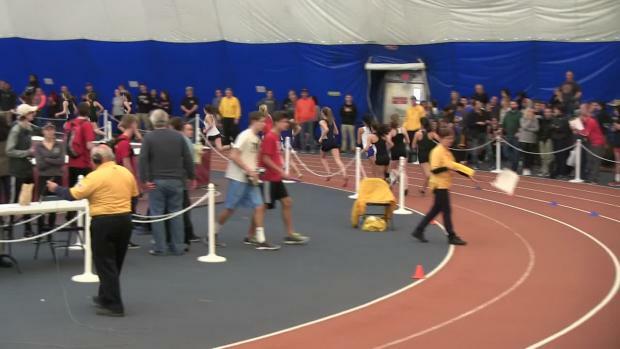 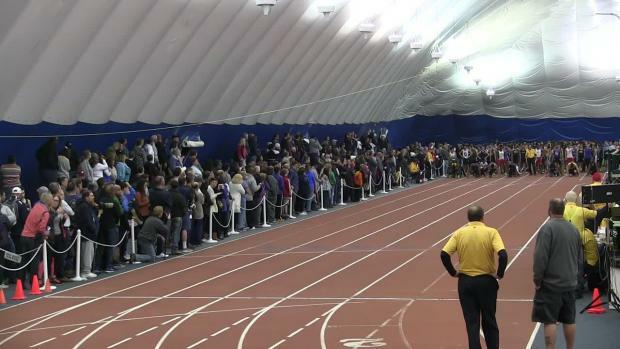 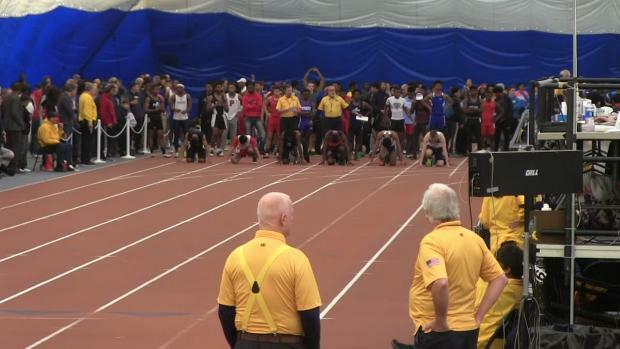 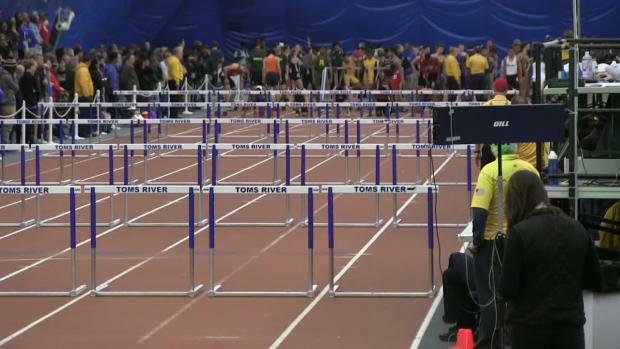 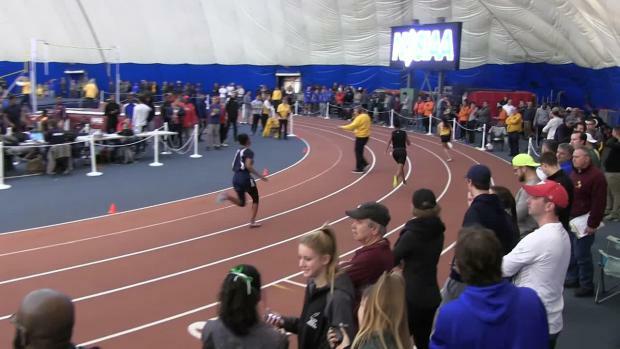 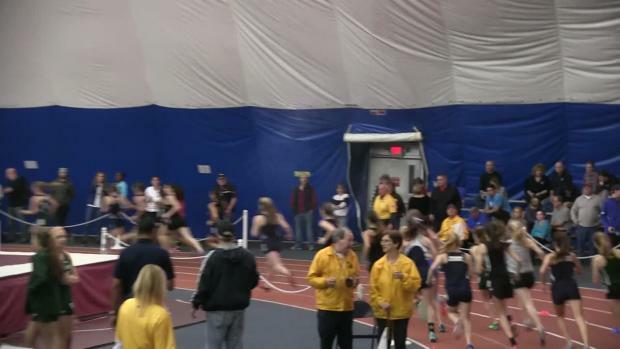 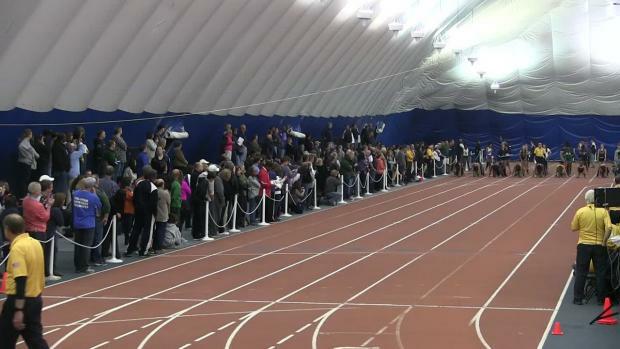 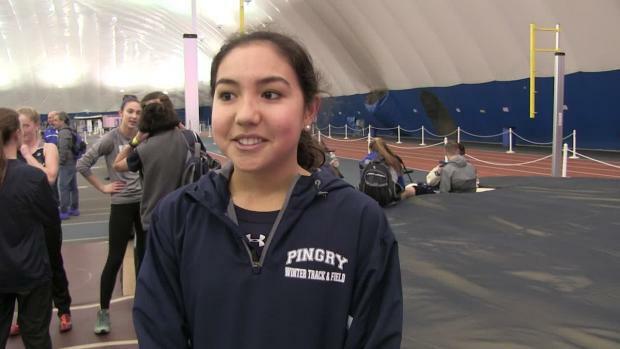 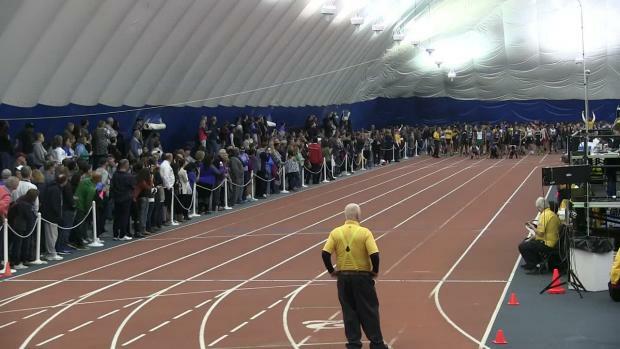 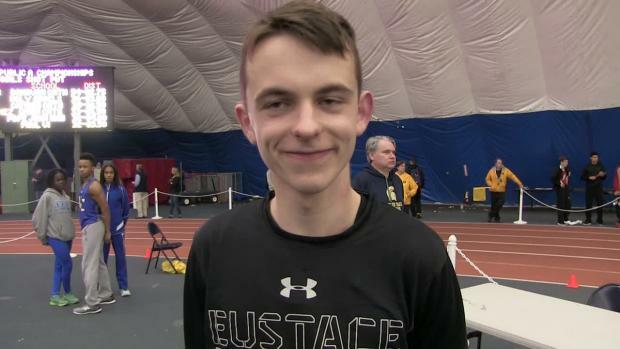 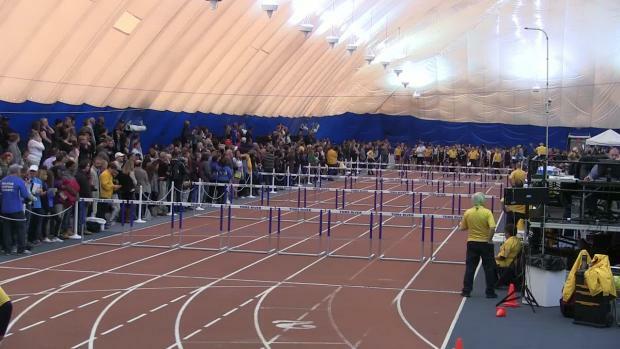 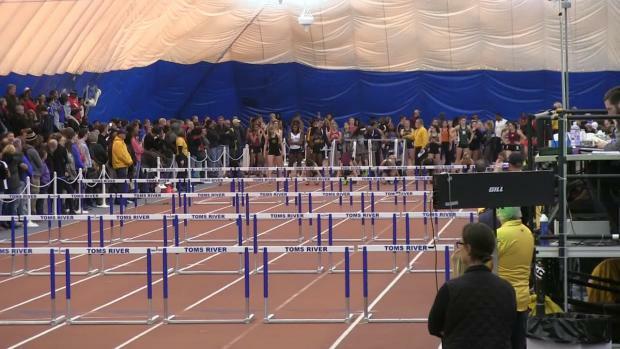 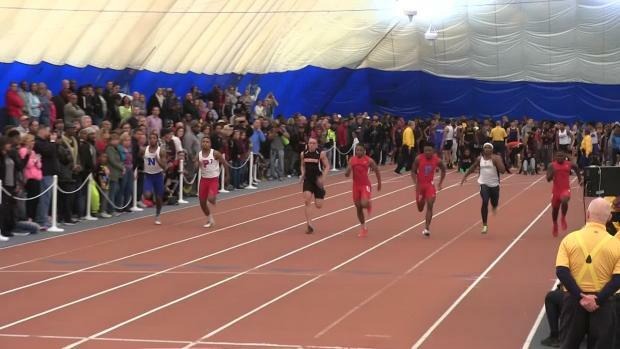 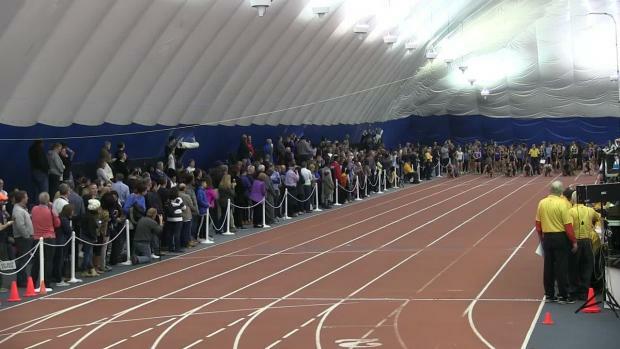 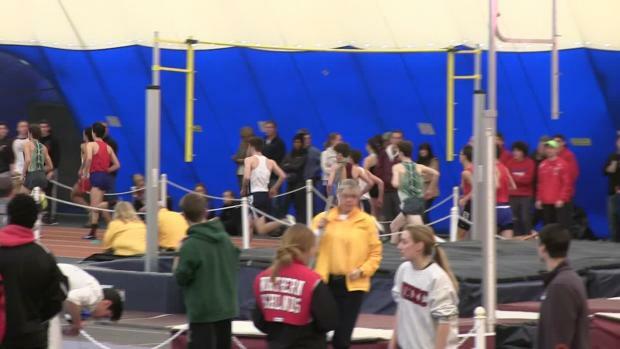 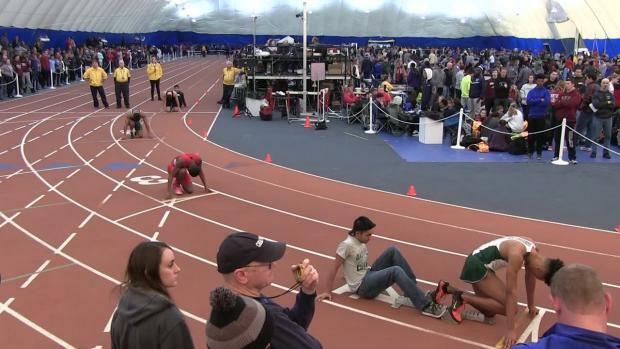 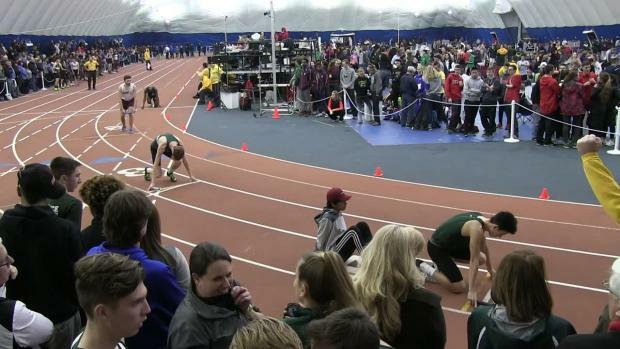 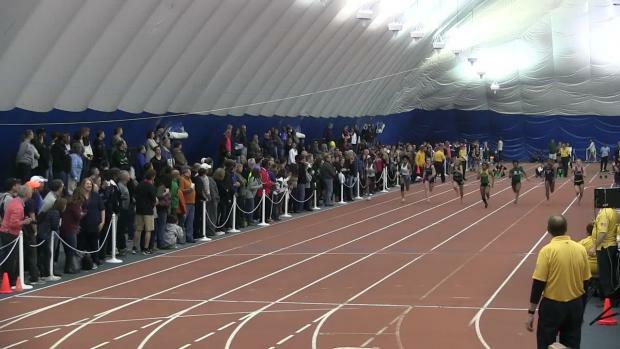 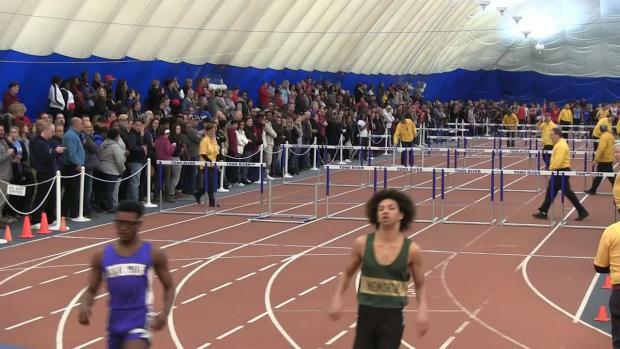 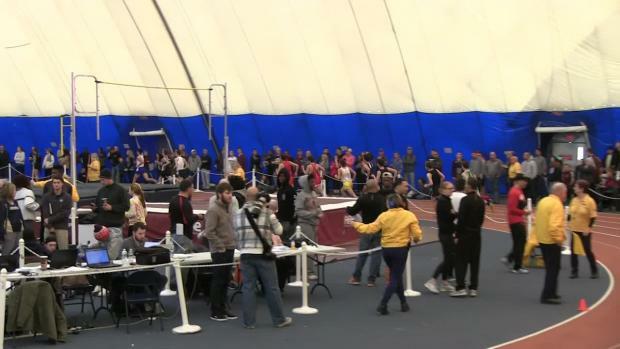 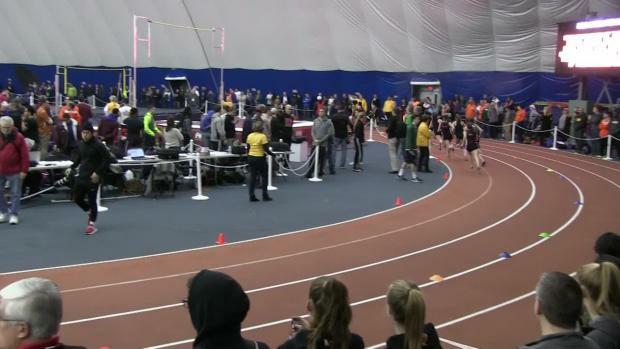 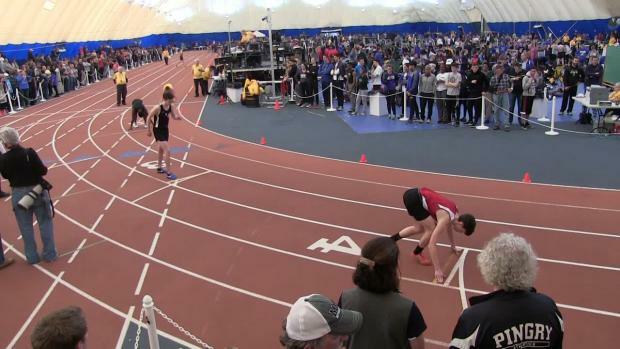 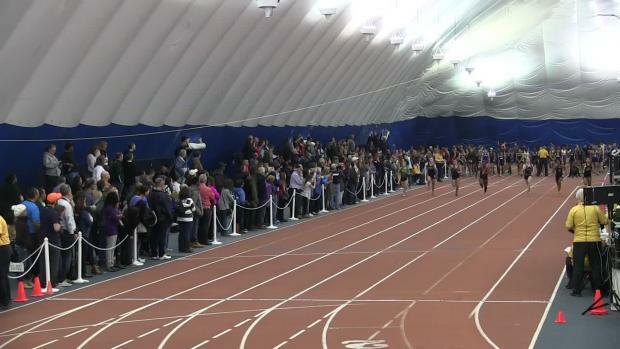 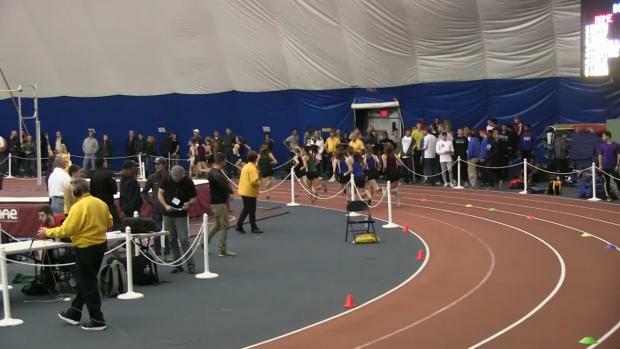 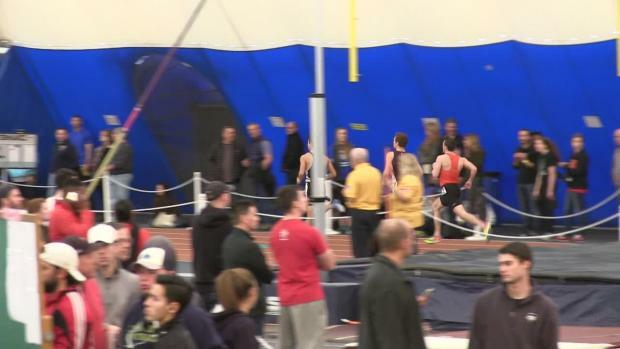 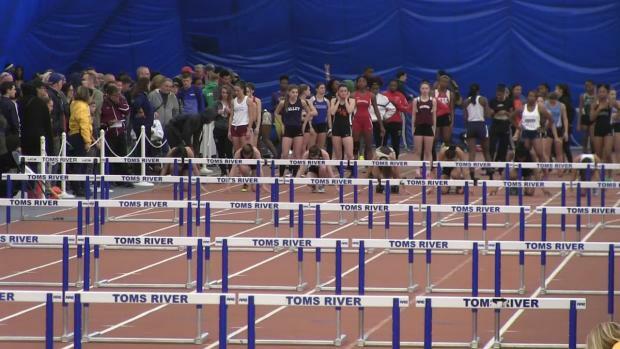 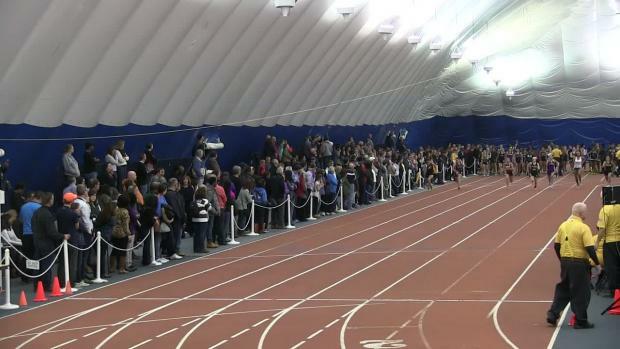 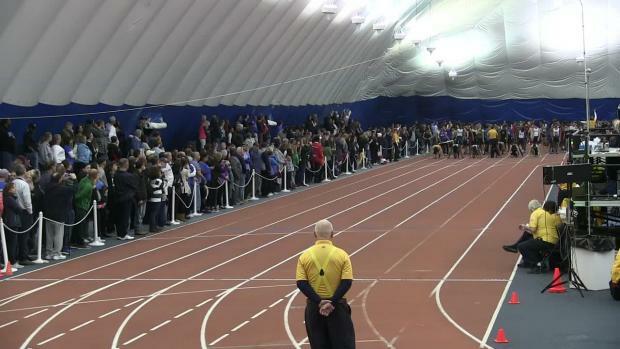 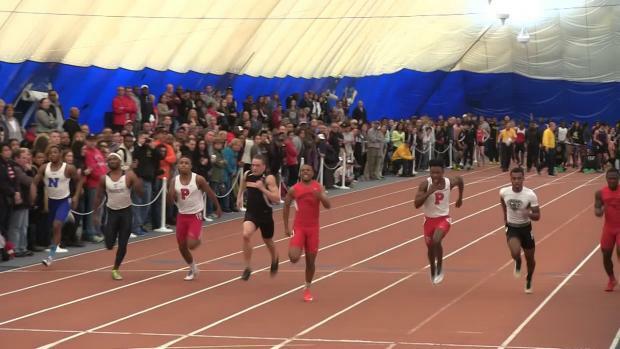 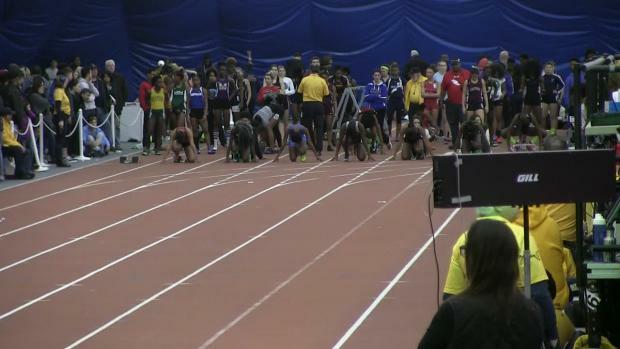 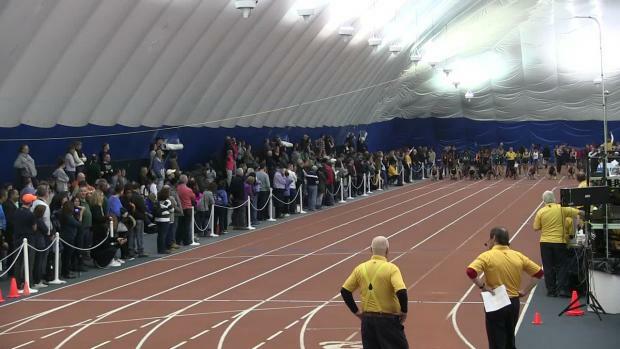 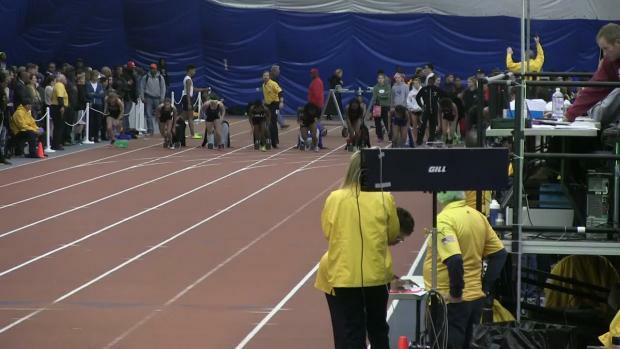 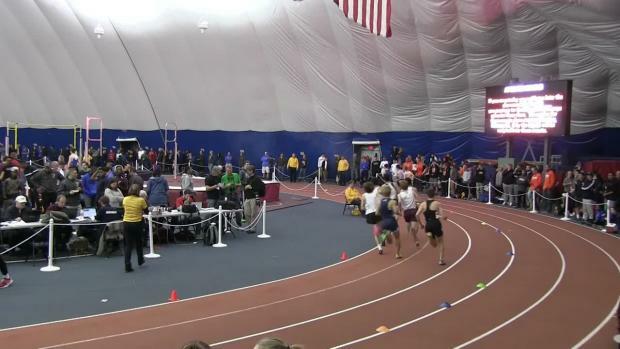 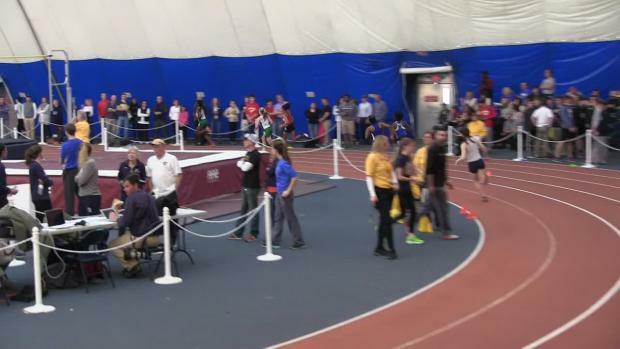 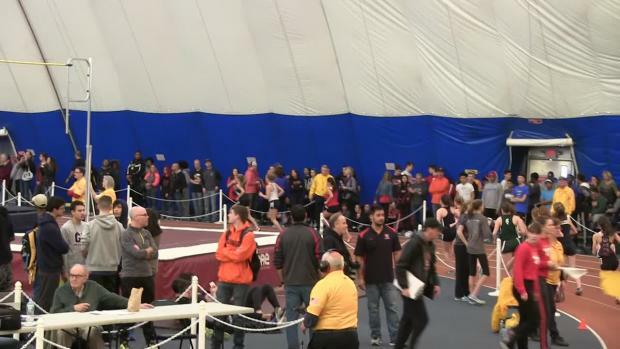 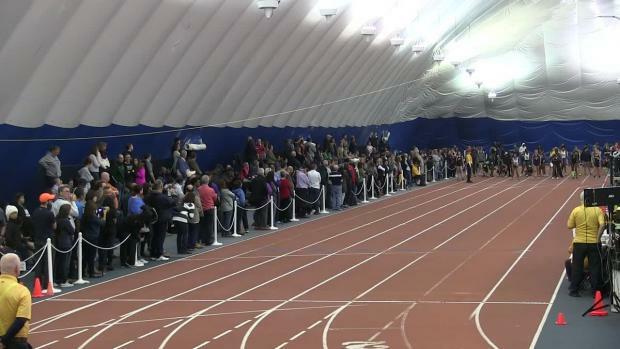 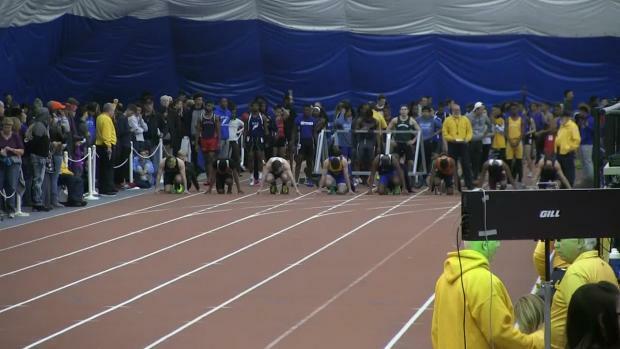 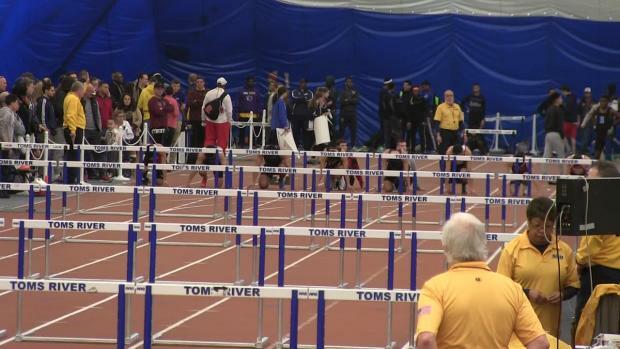 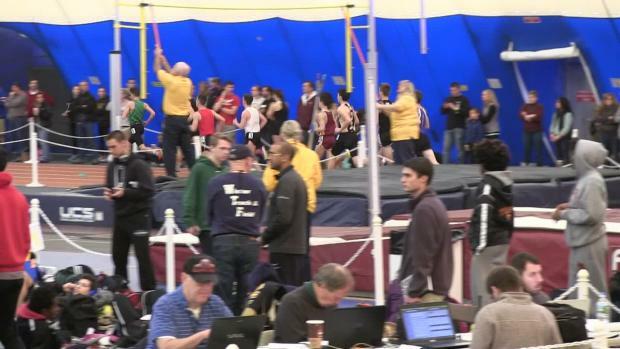 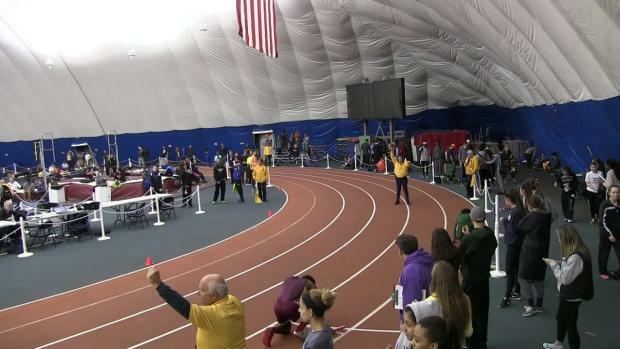 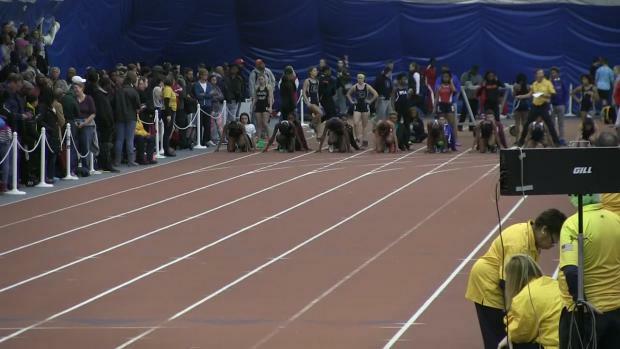 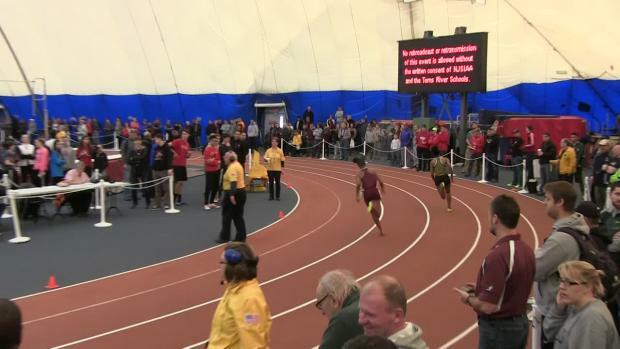 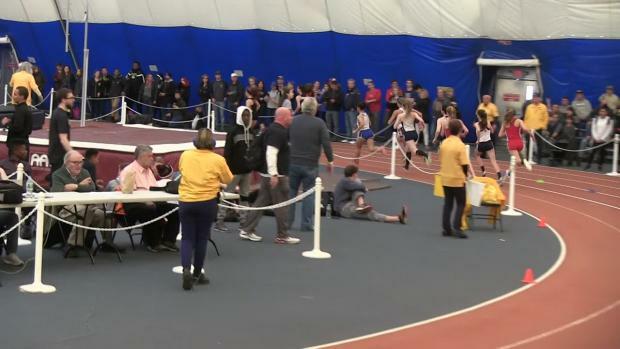 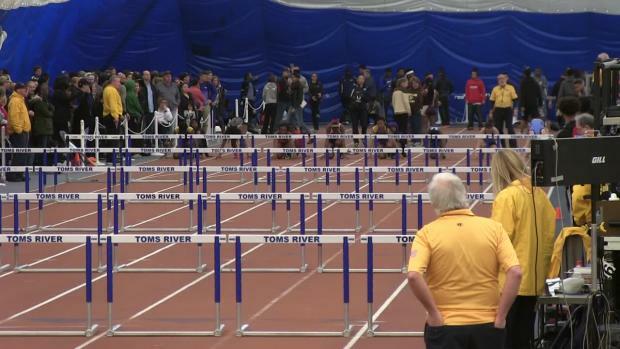 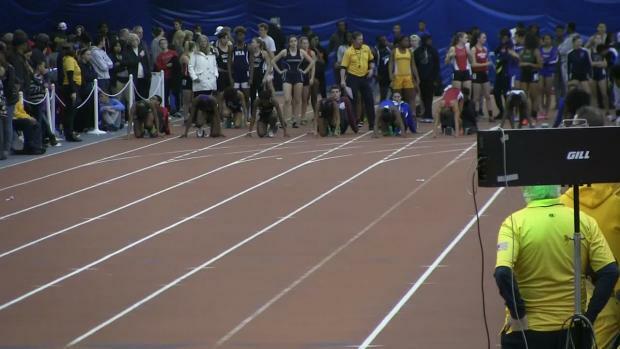 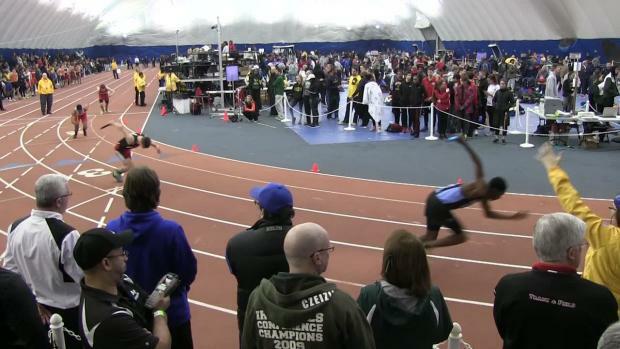 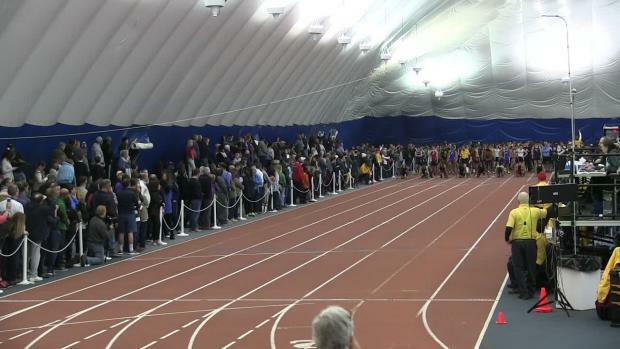 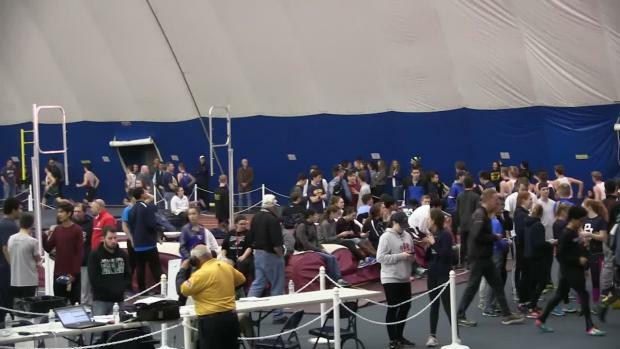 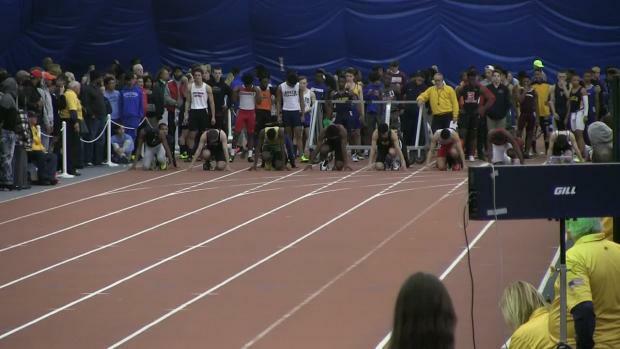 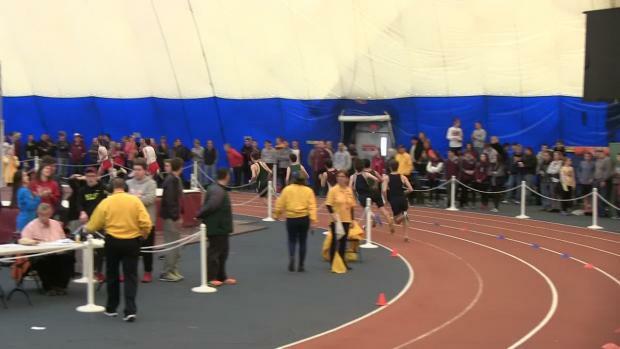 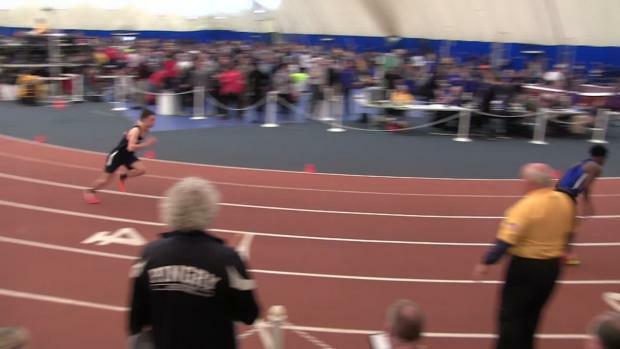 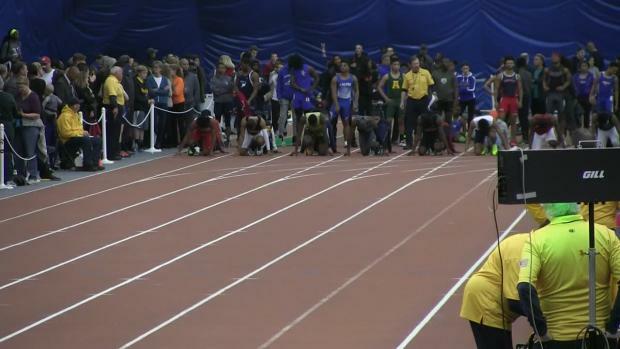 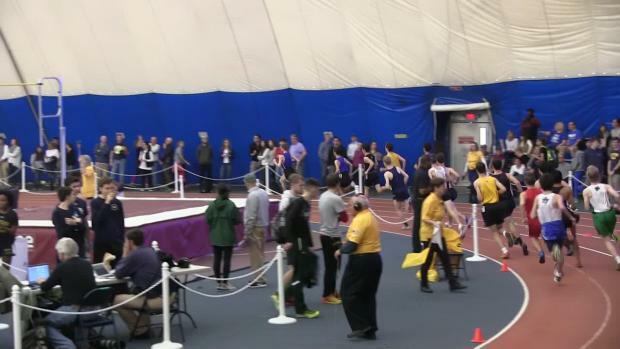 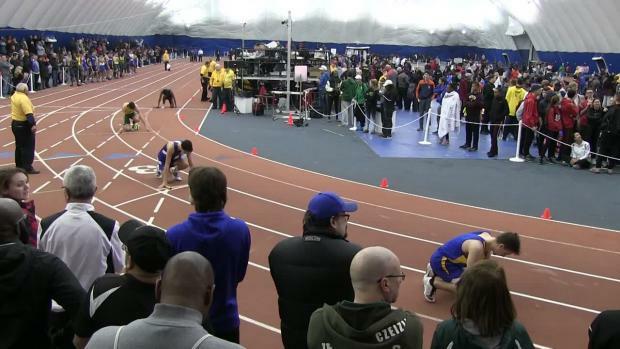 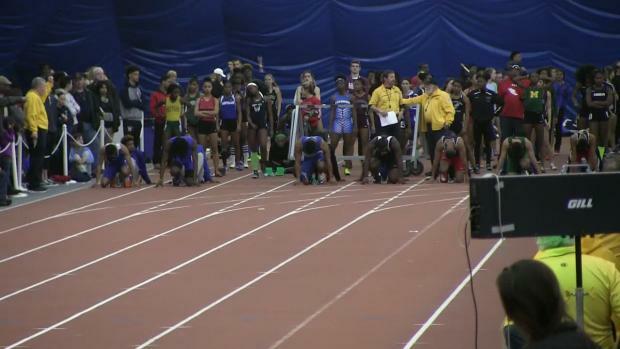 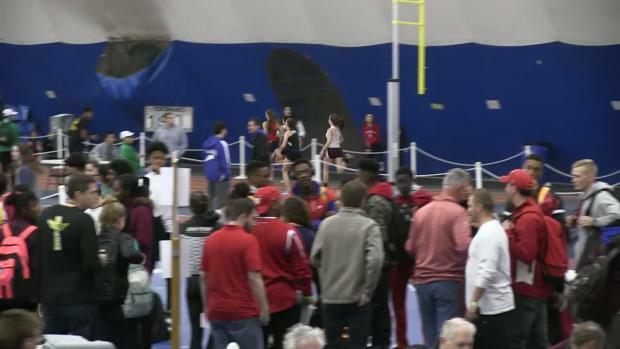 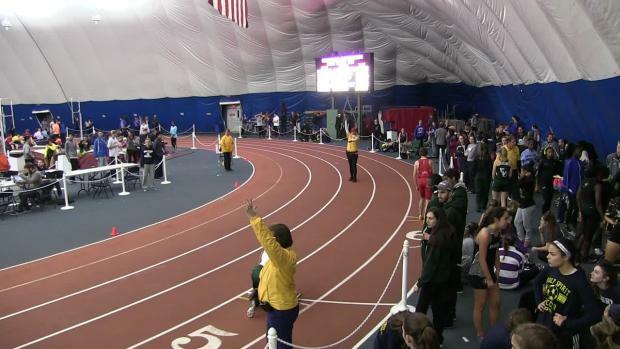 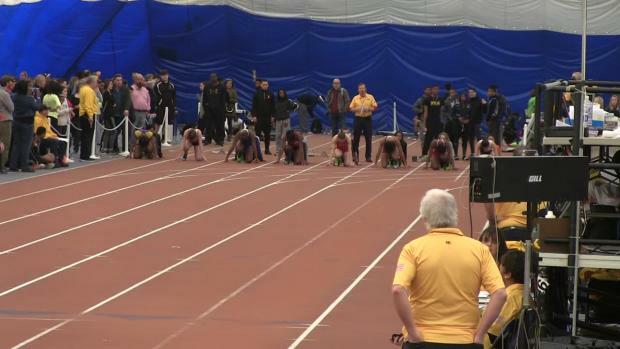 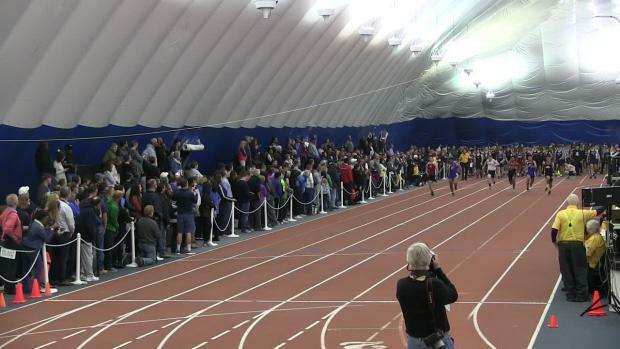 All the race videos from the public school meets have been posted, the non-public races are currently uploading. 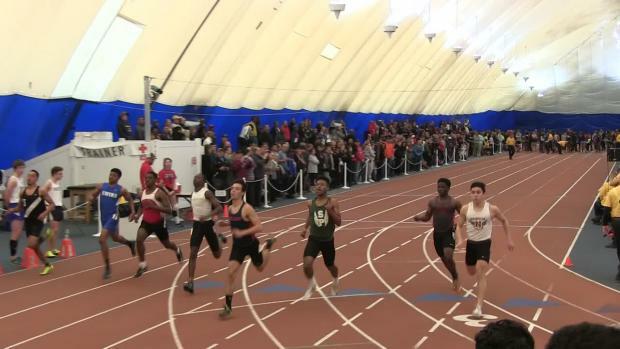 Photos by Ruben Rivera, Aaron Laserna, and RunningWorksPics from every championship this weekend.